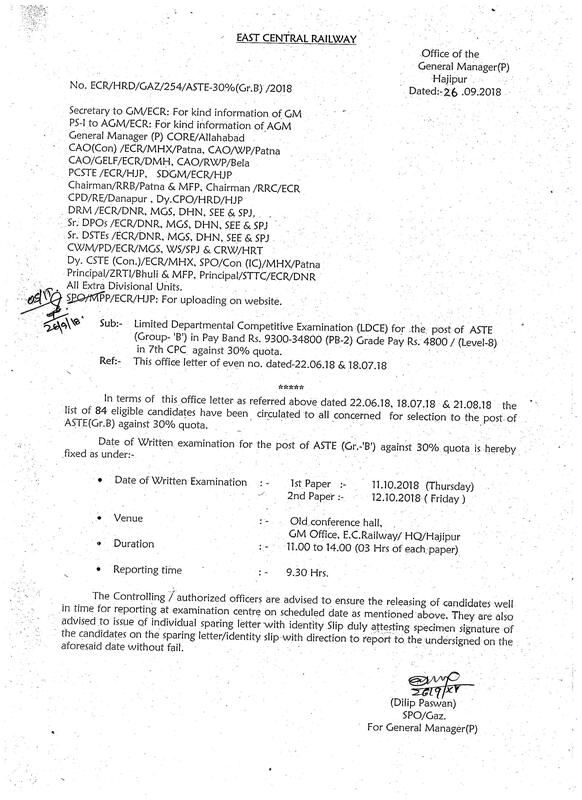 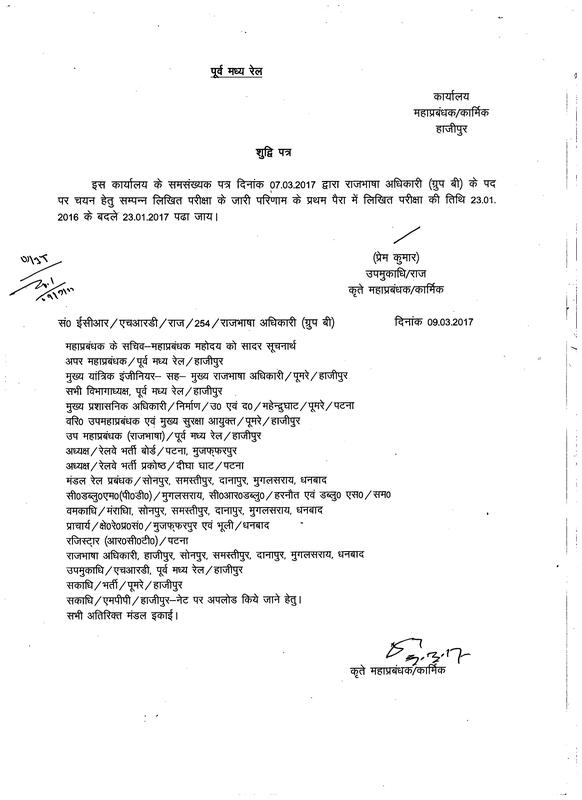 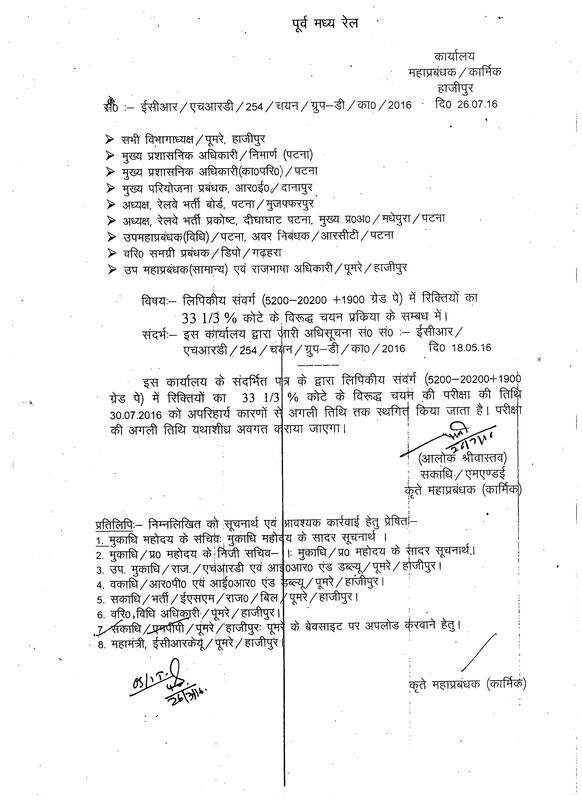 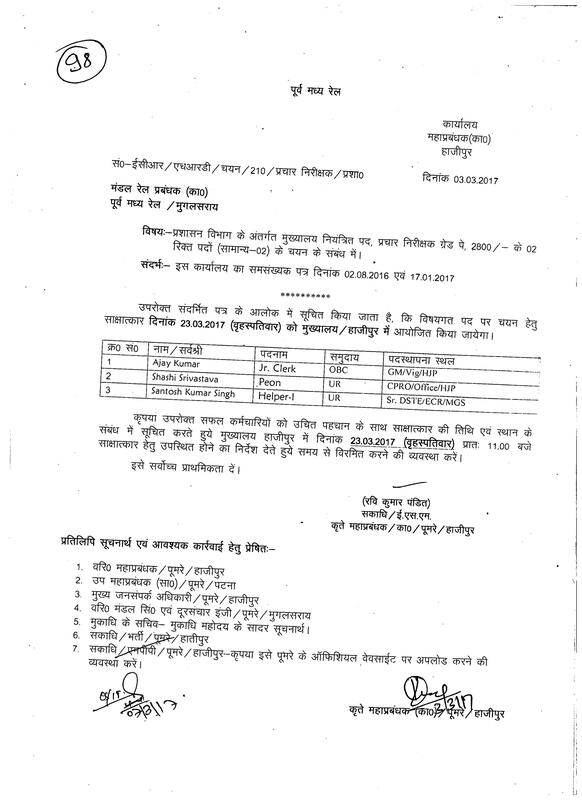 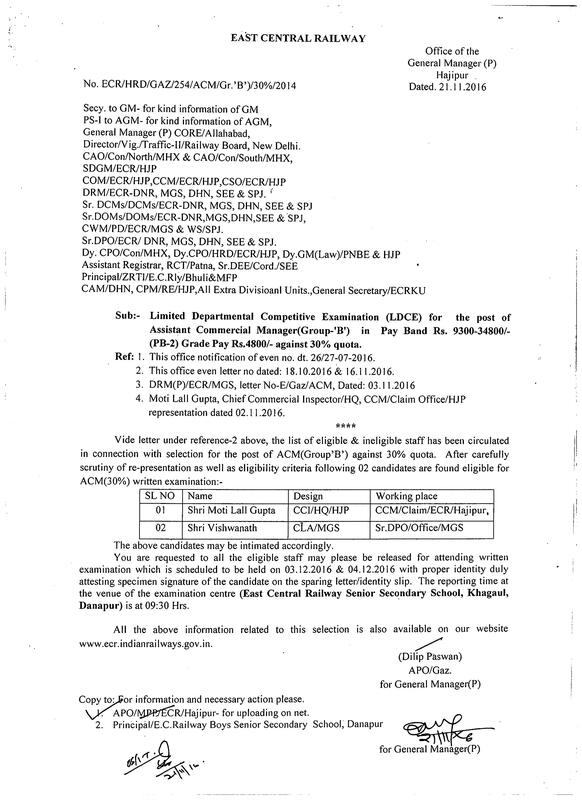 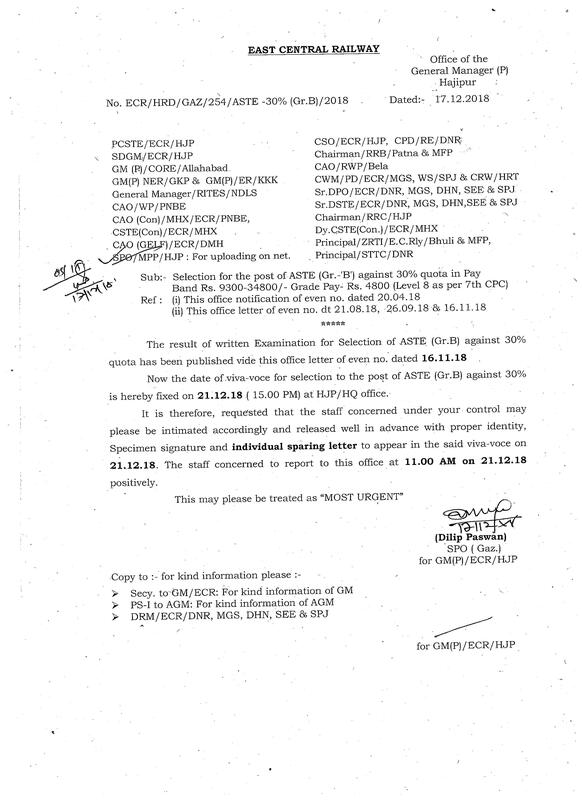 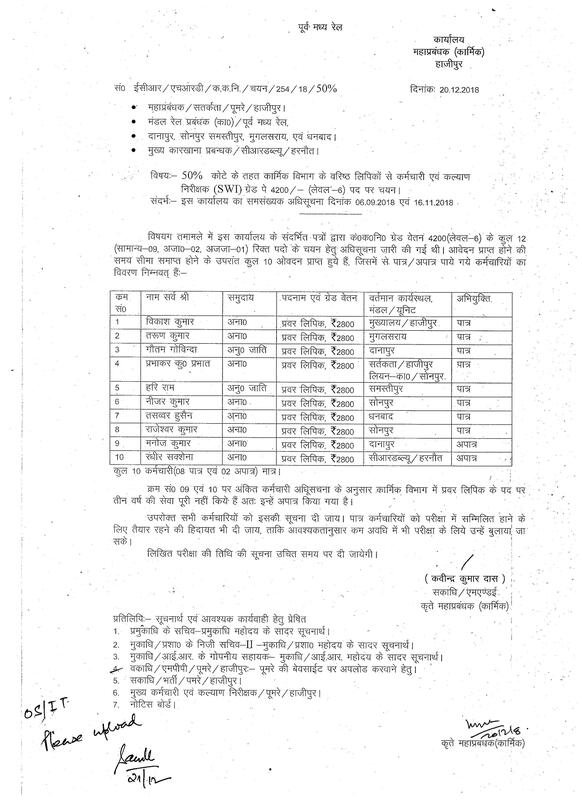 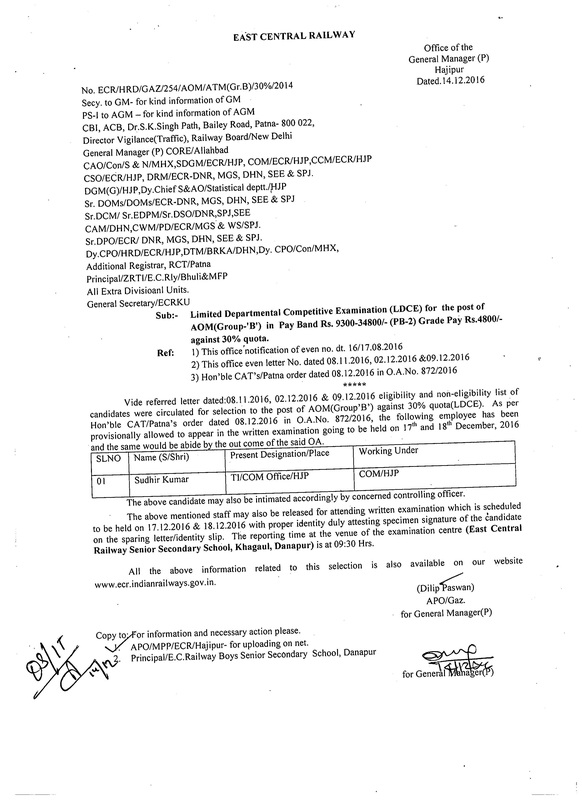 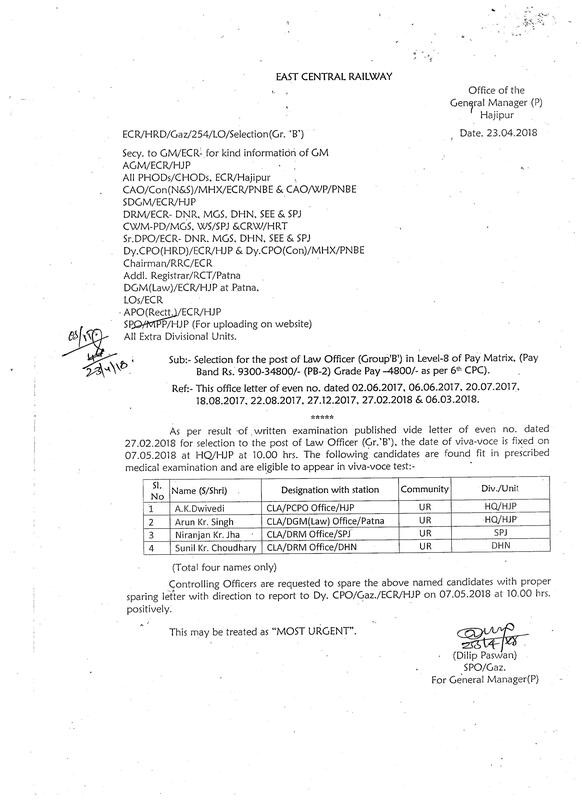 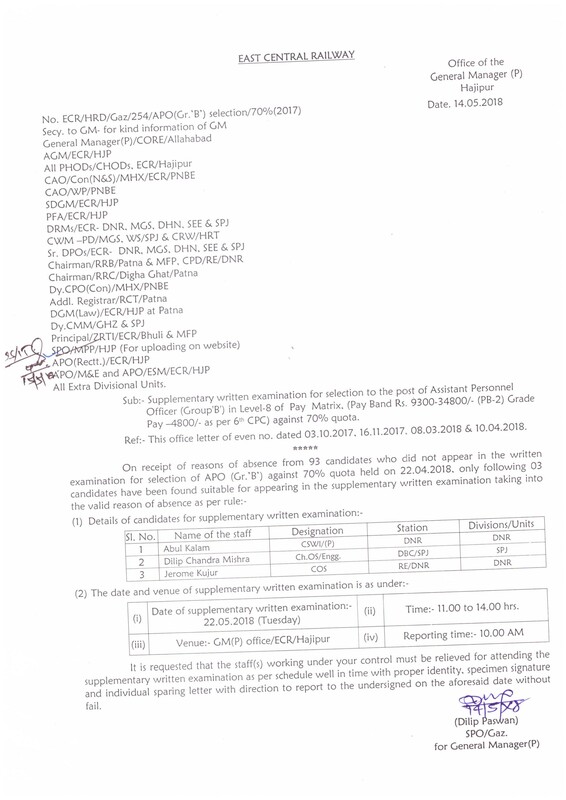 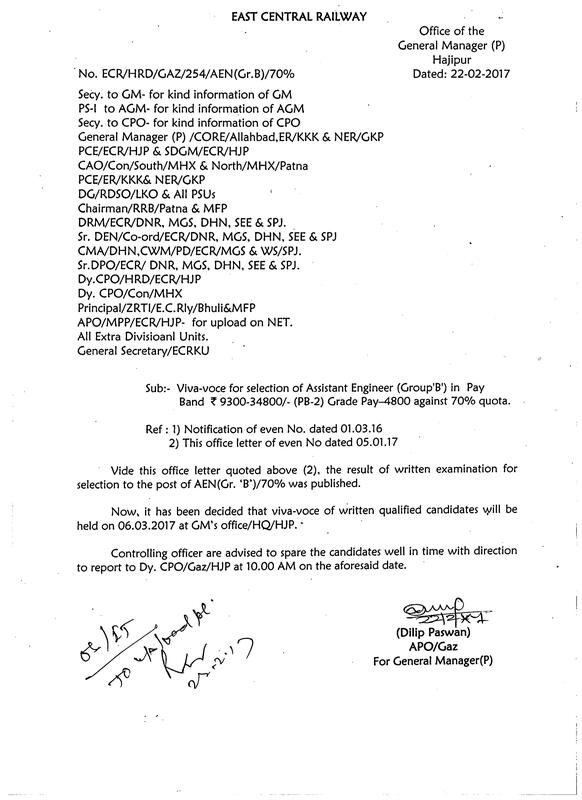 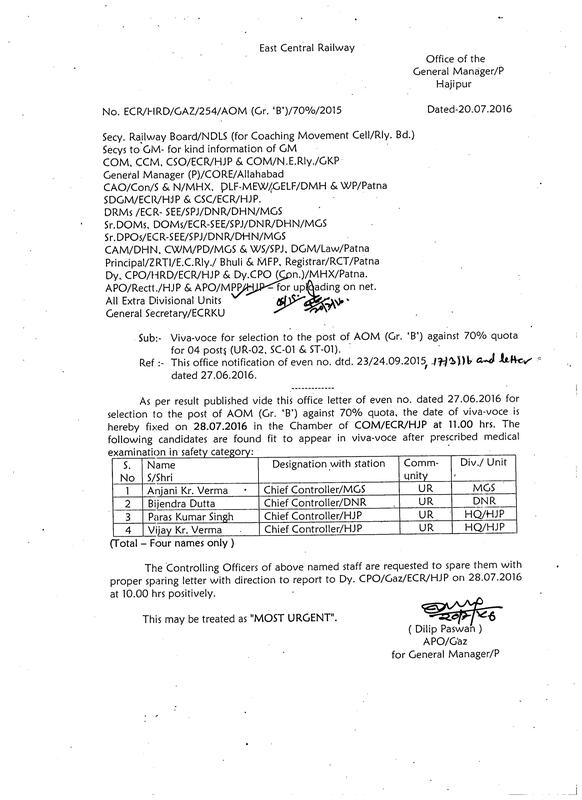 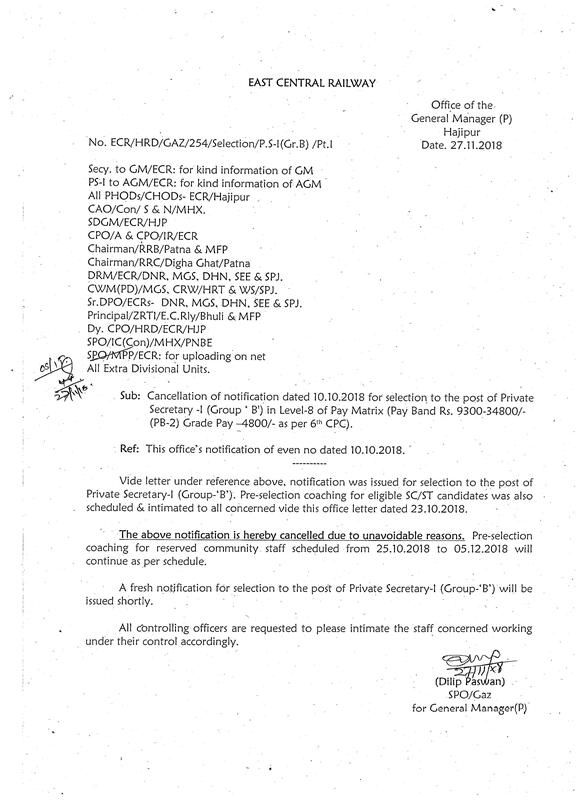 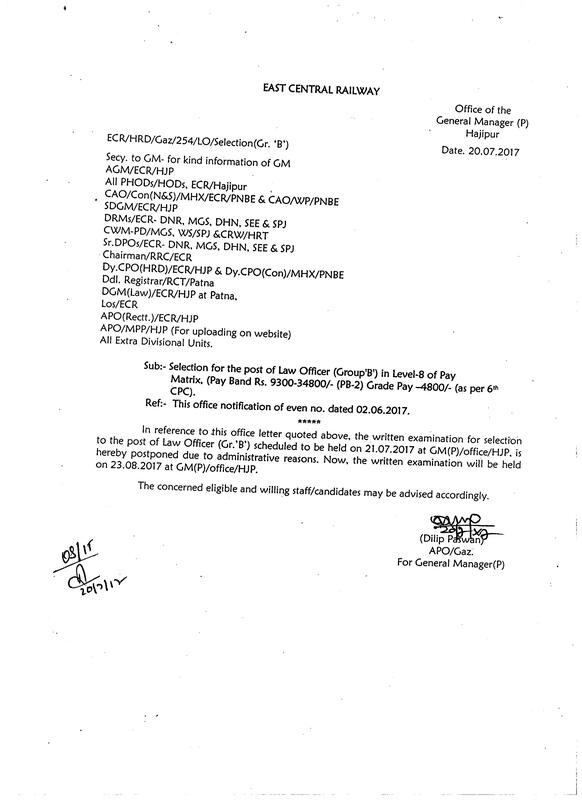 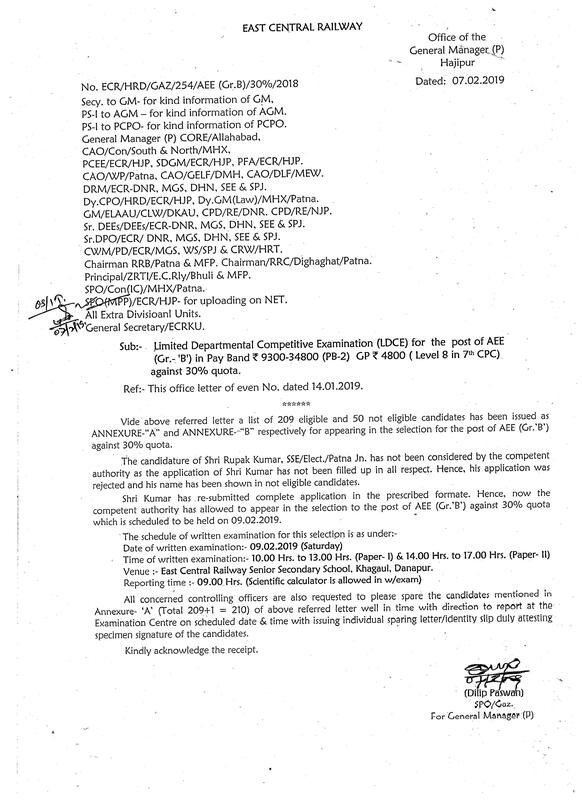 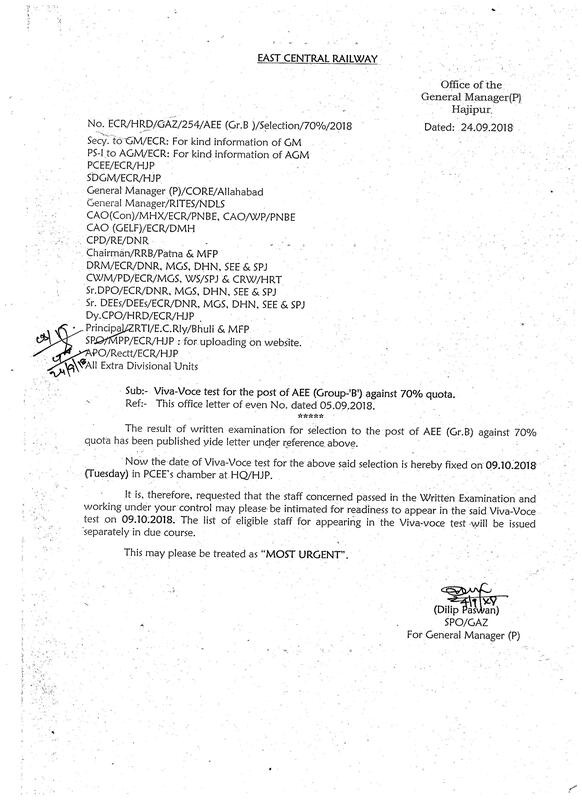 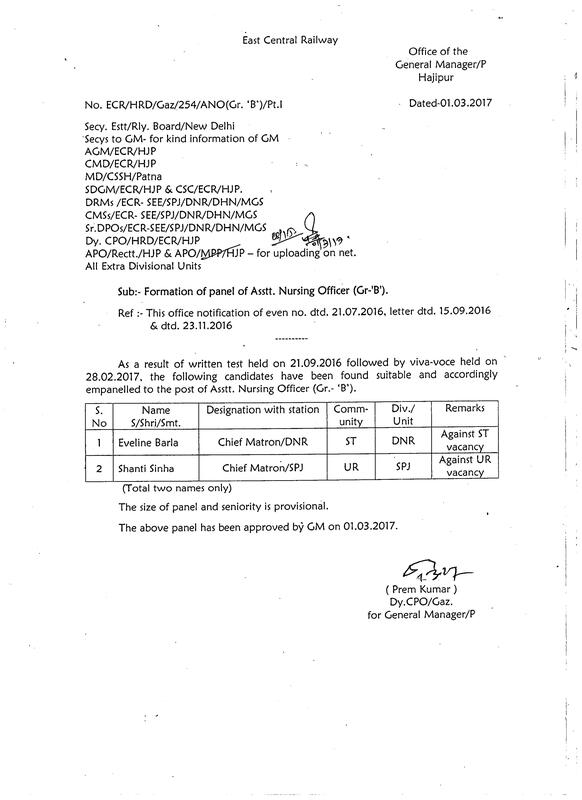 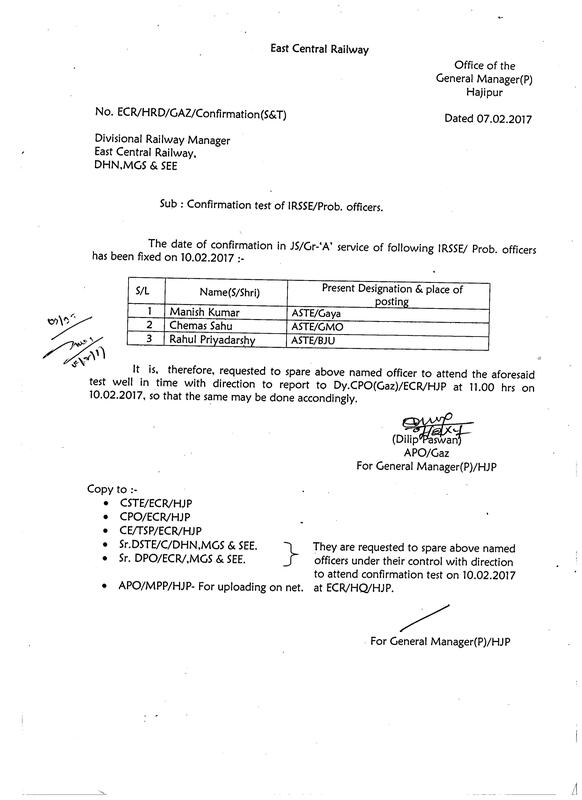 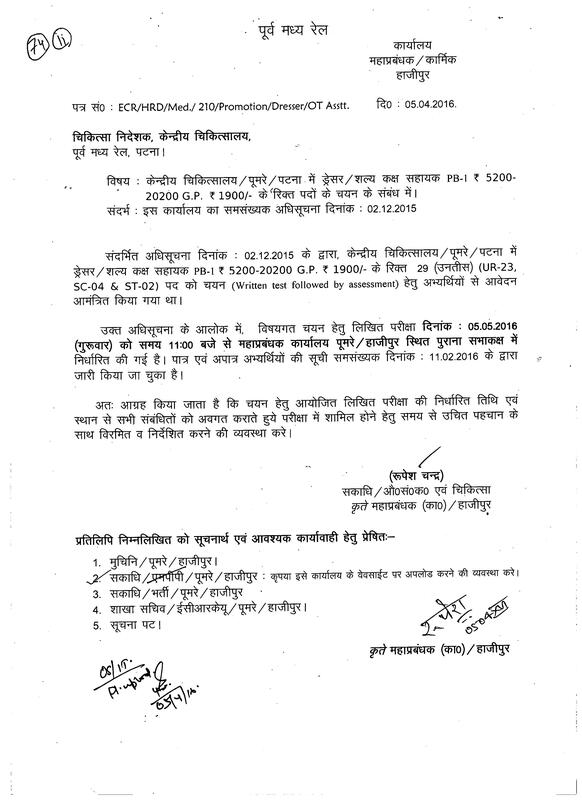 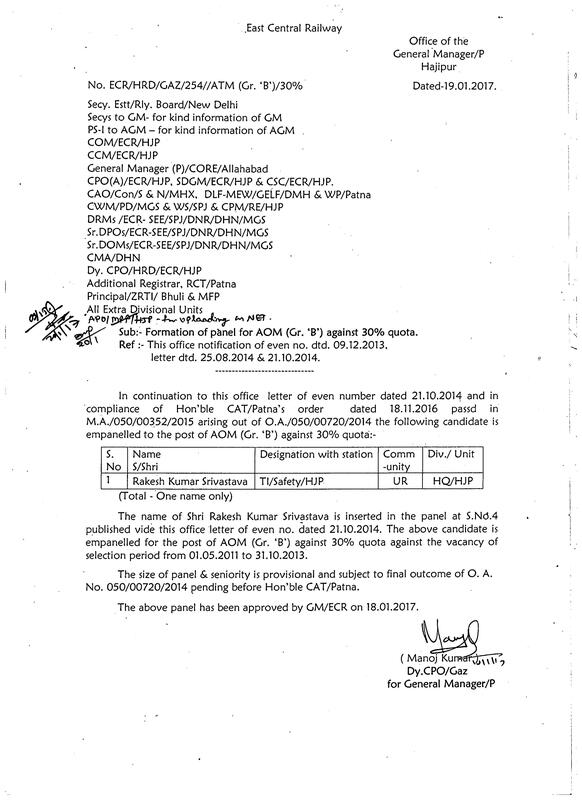 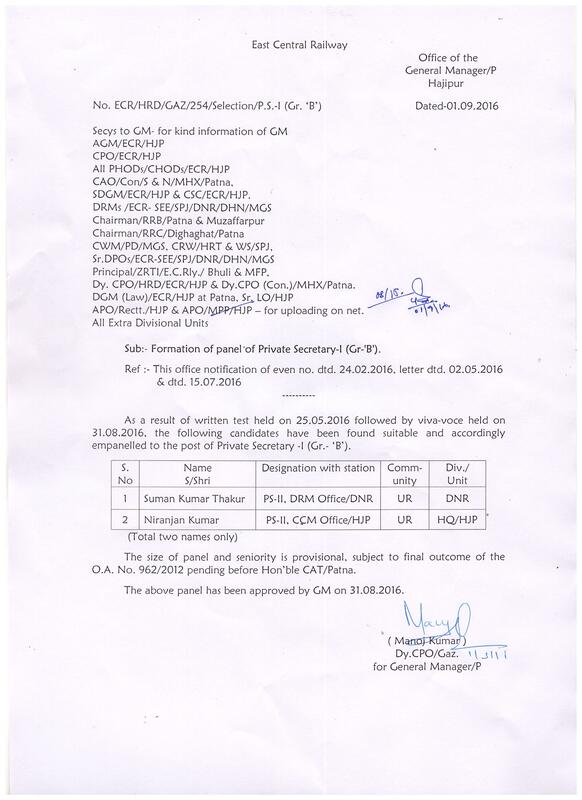 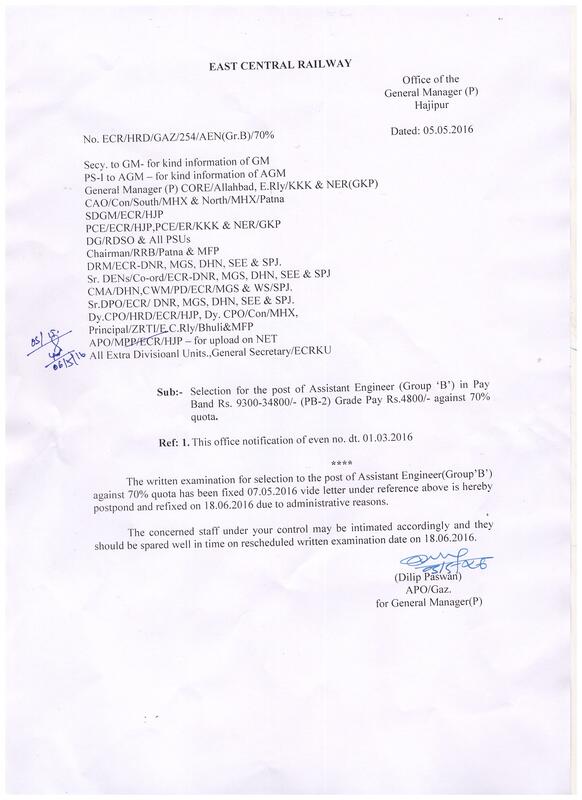 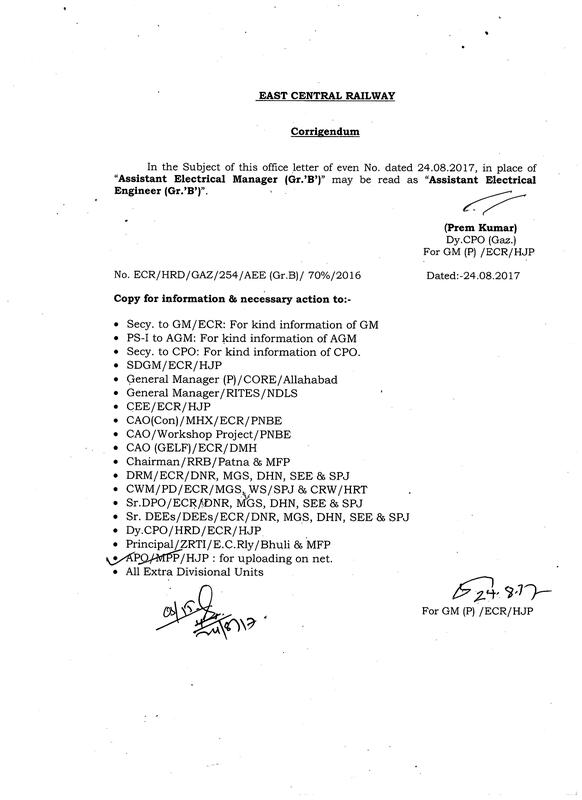 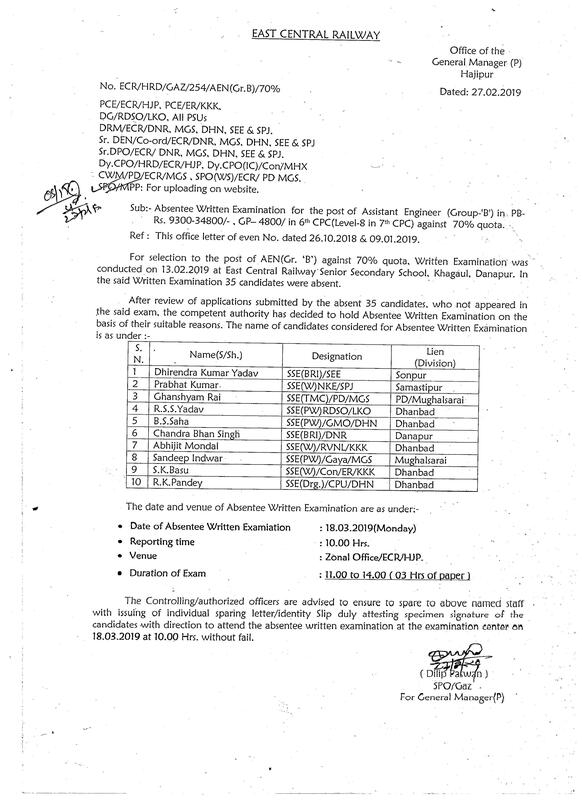 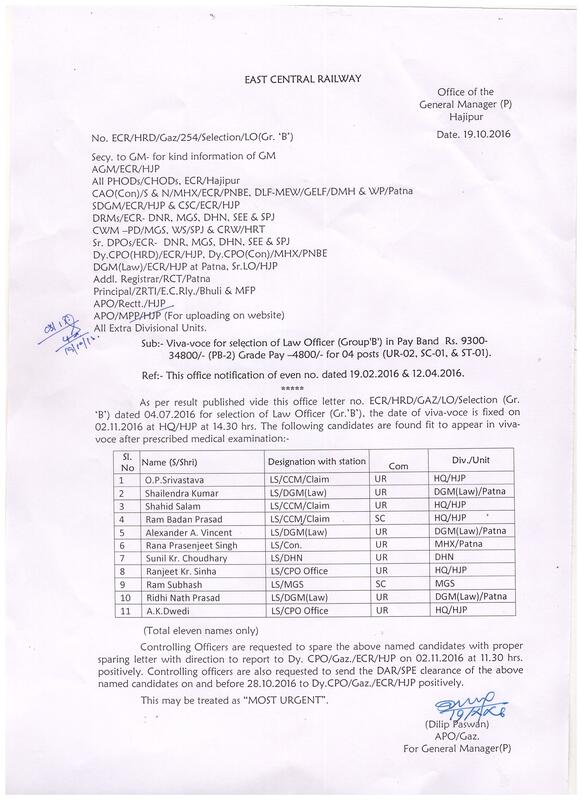 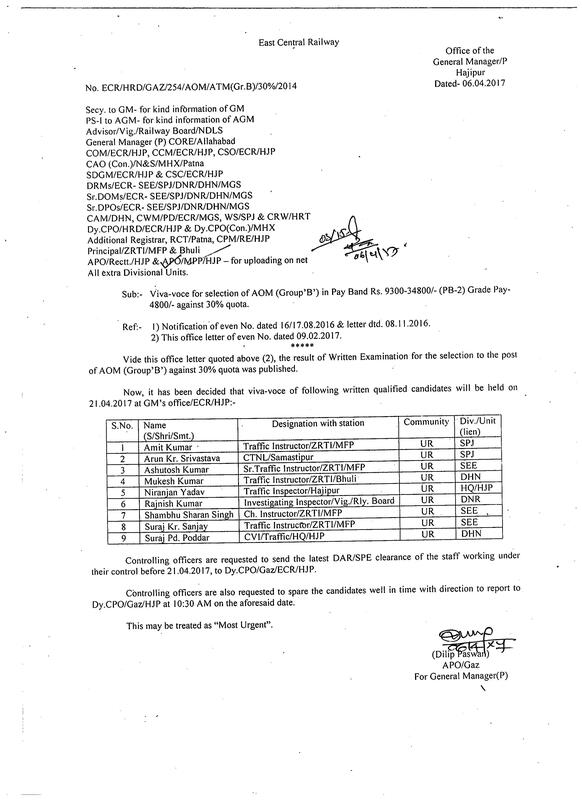 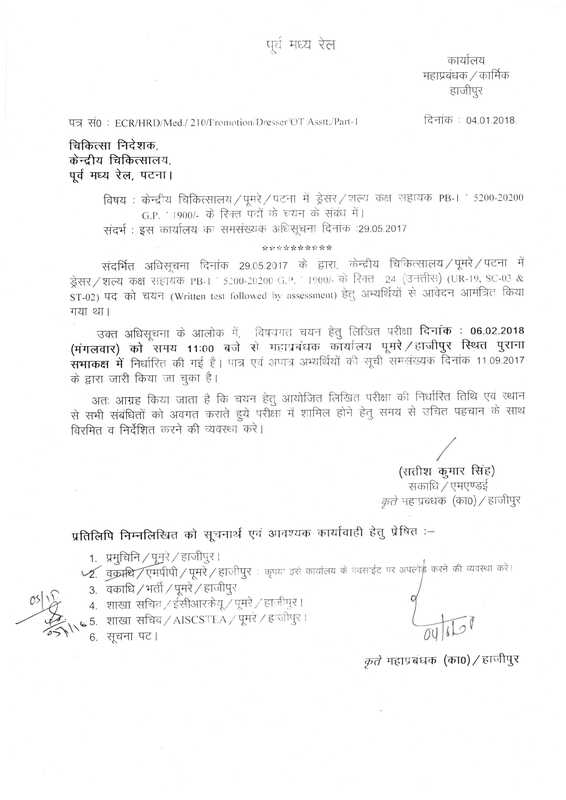 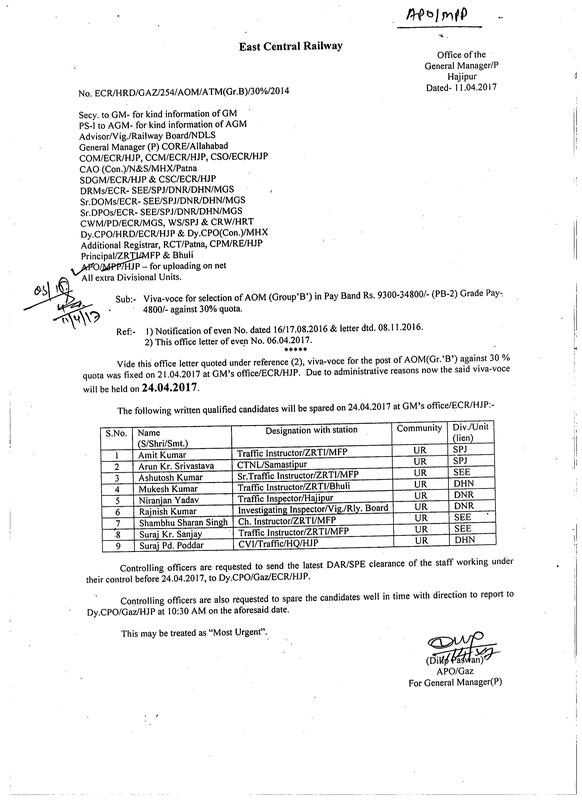 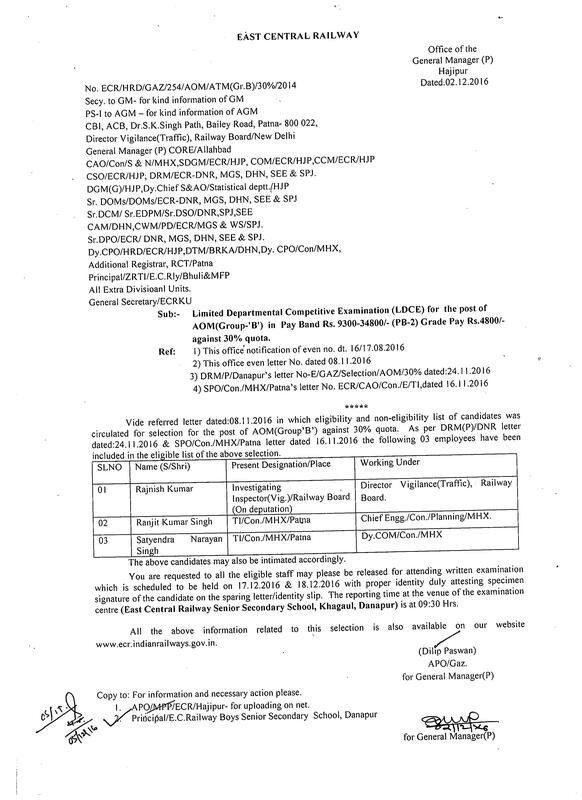 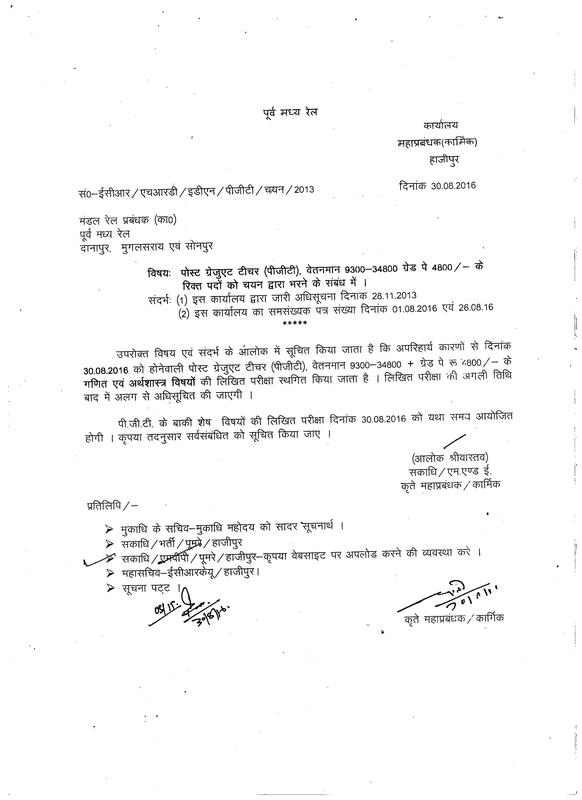 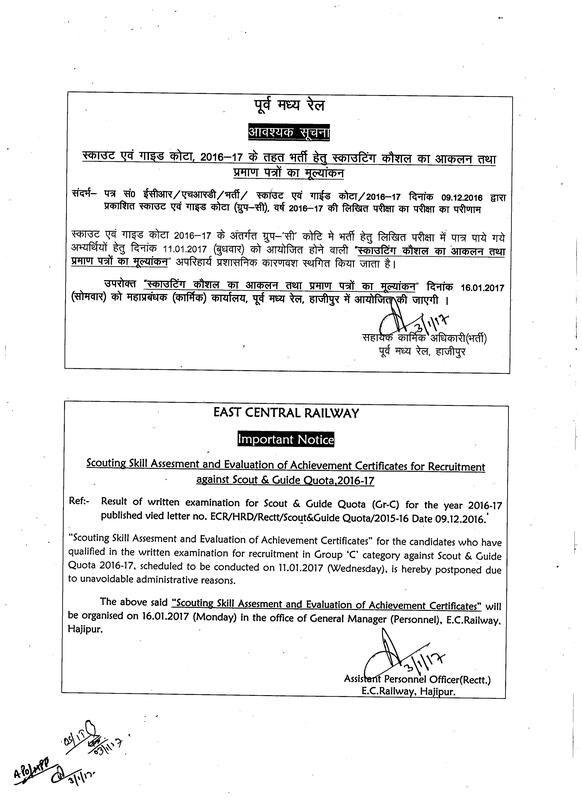 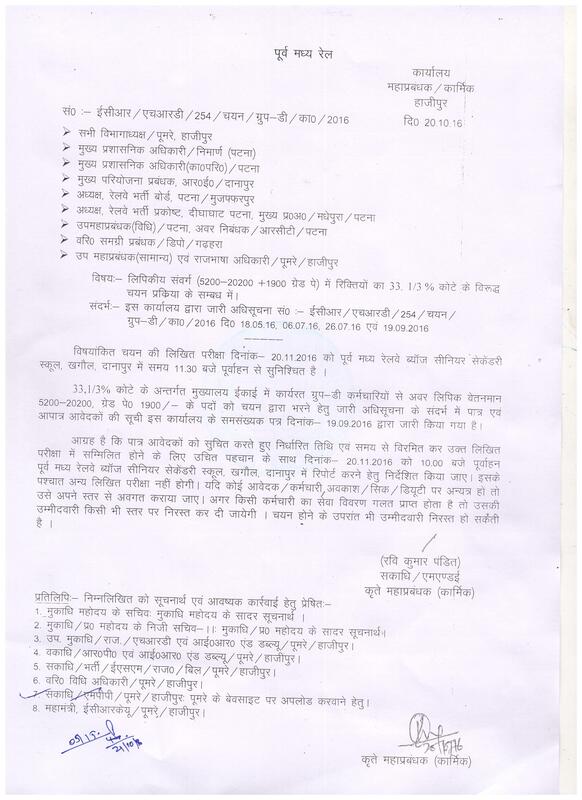 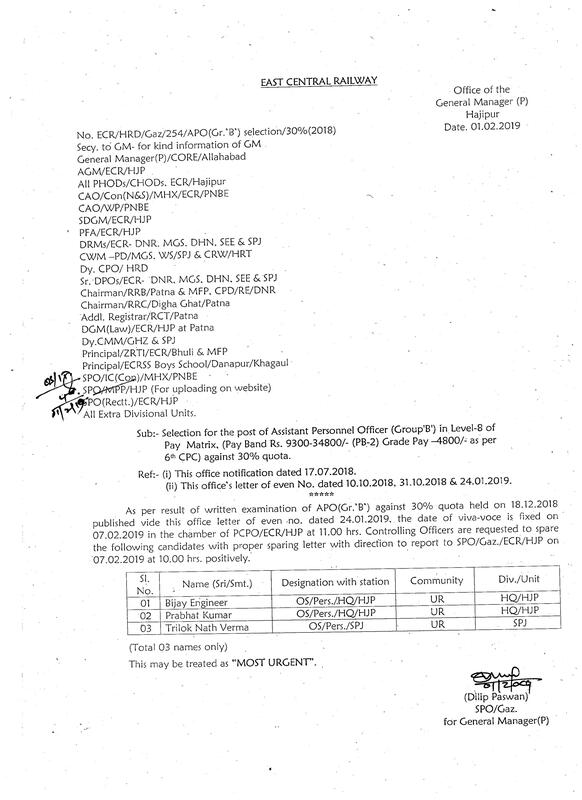 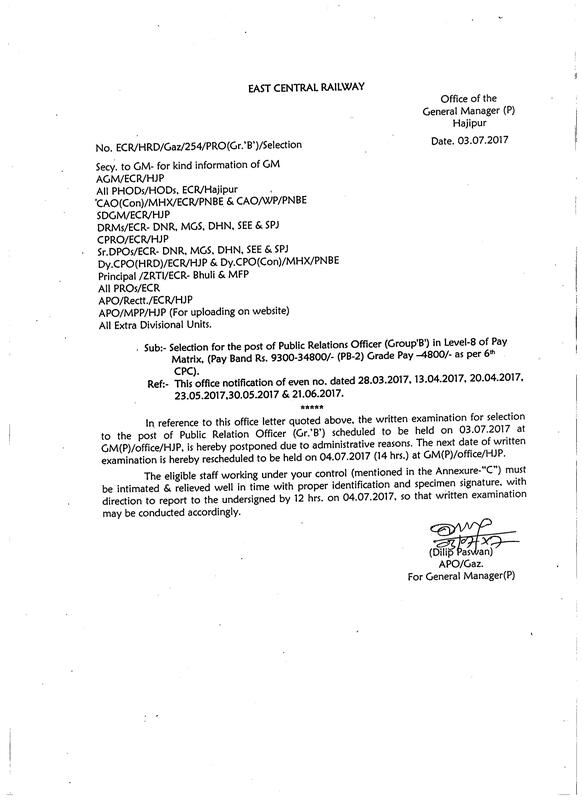 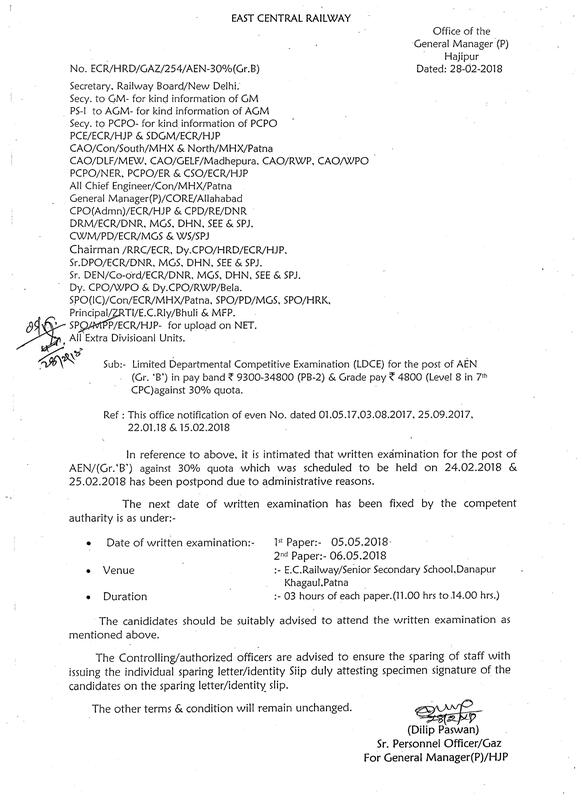 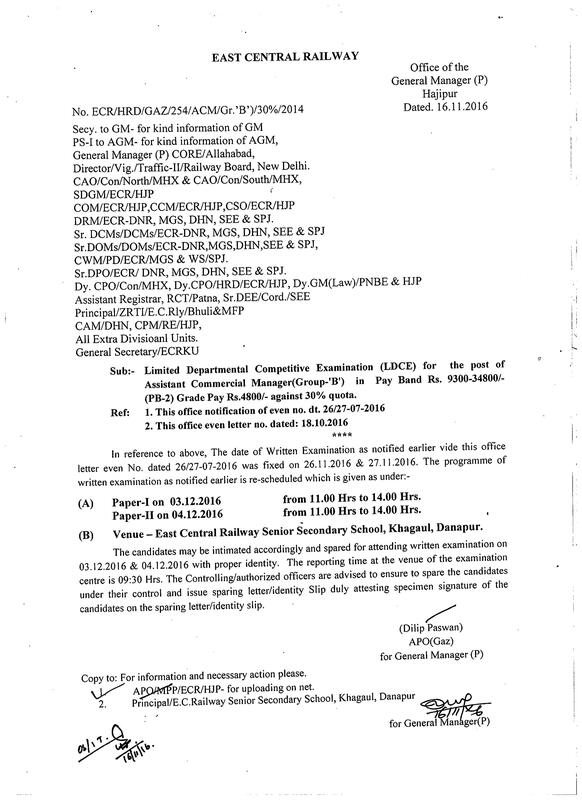 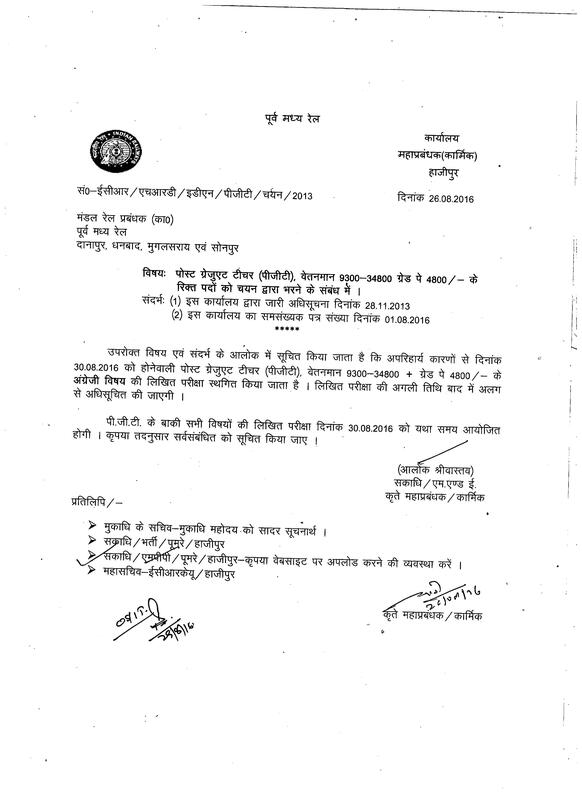 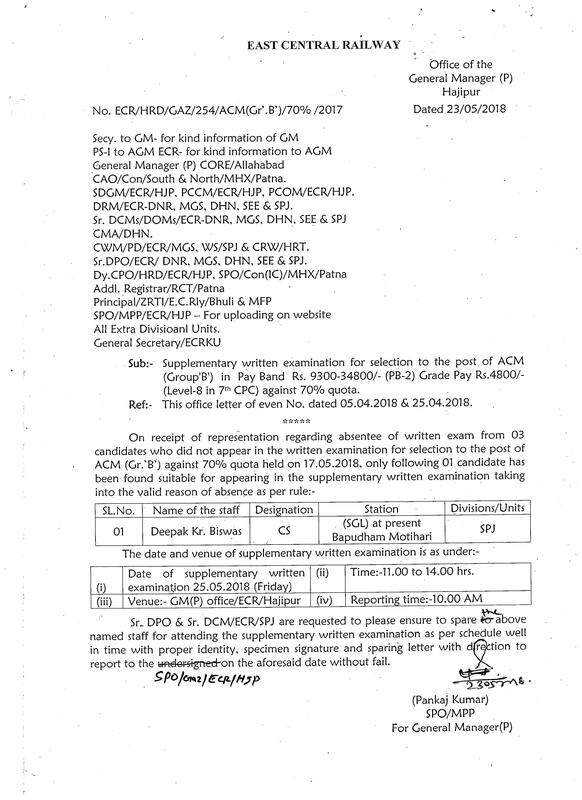 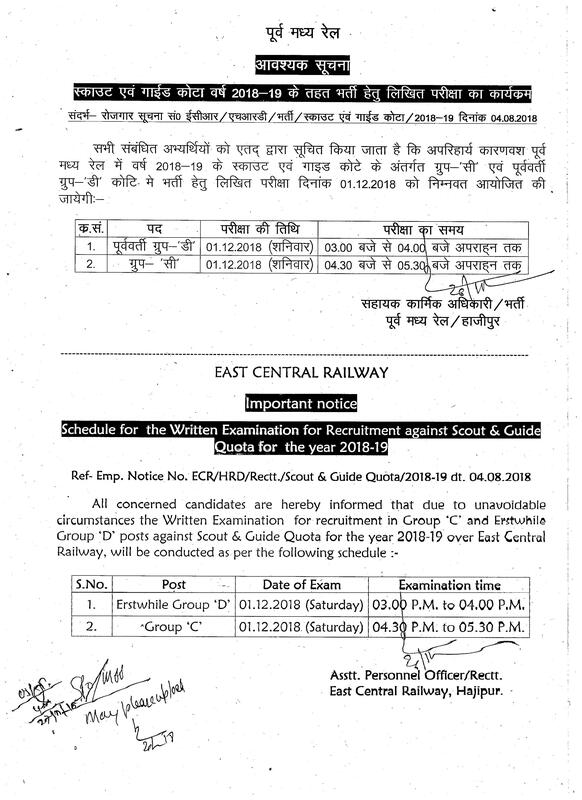 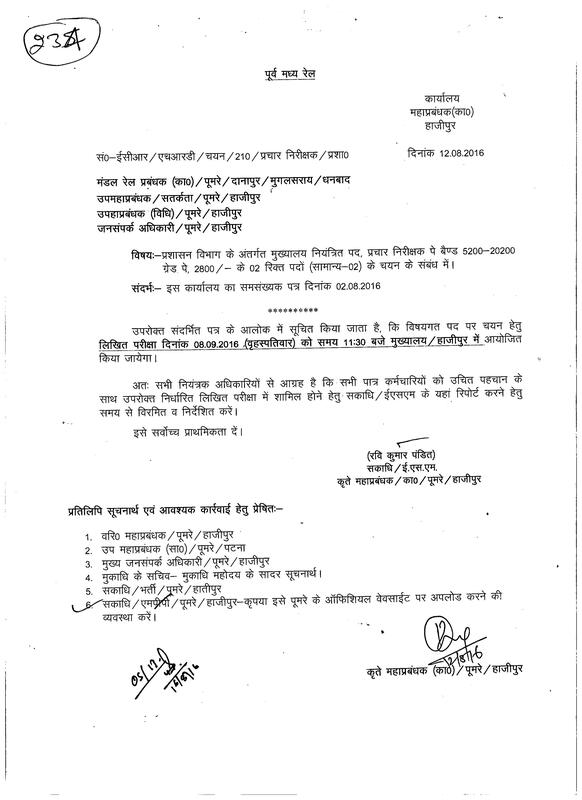 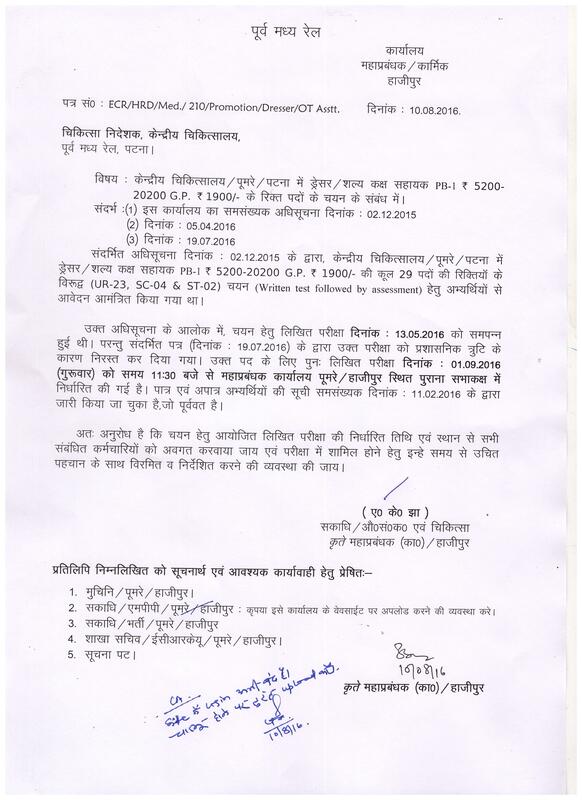 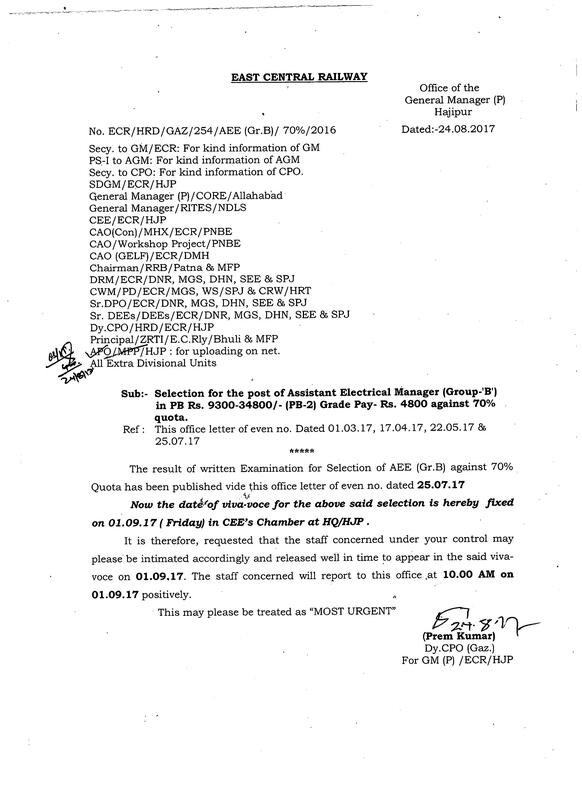 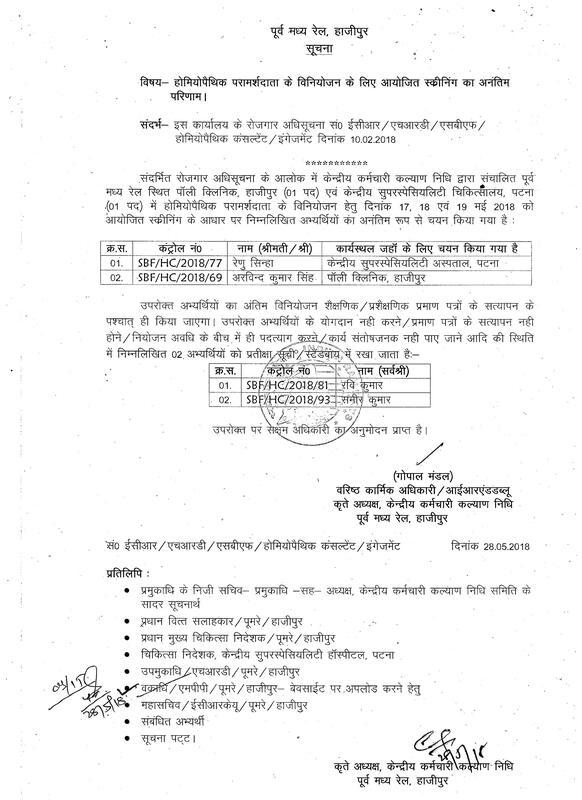 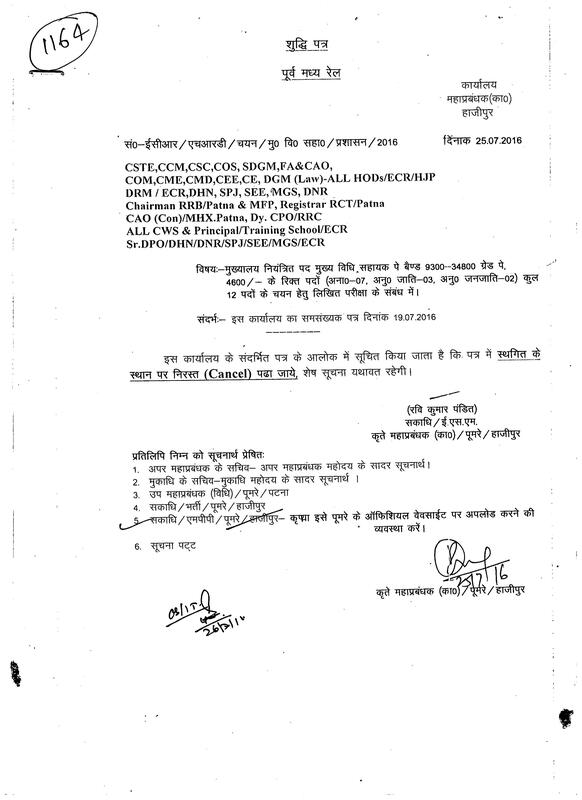 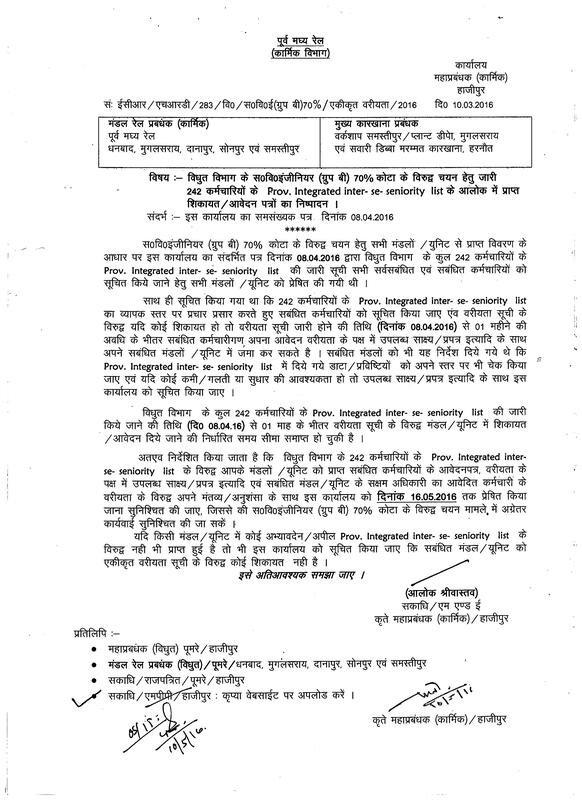 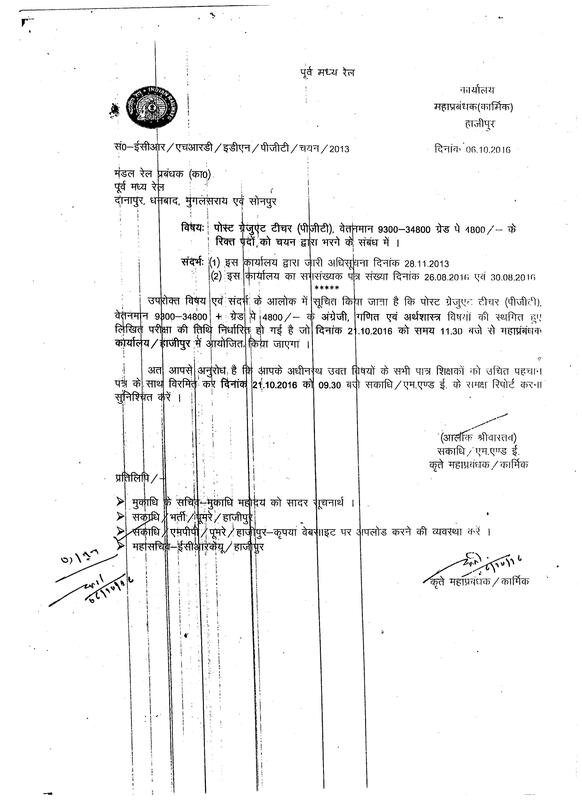 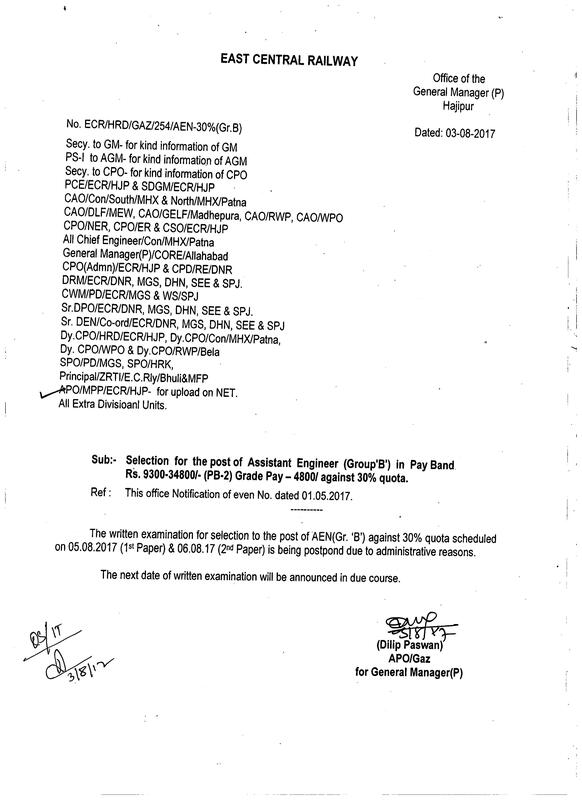 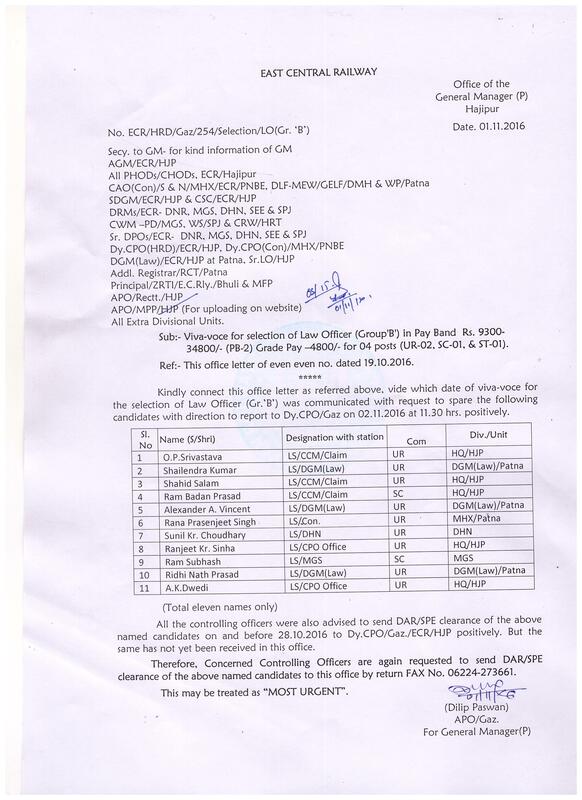 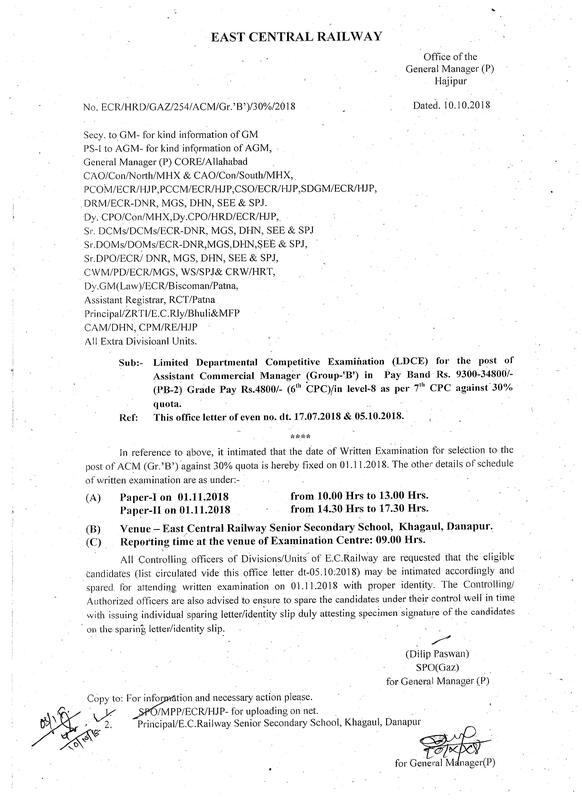 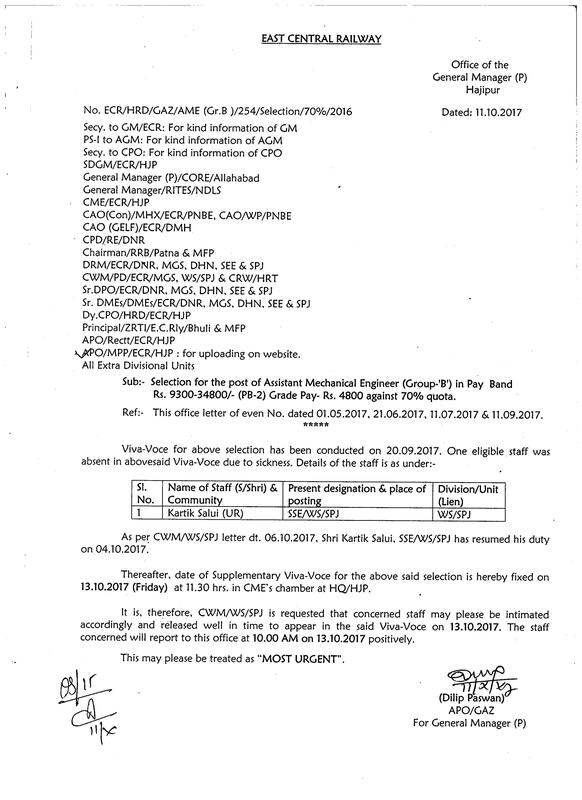 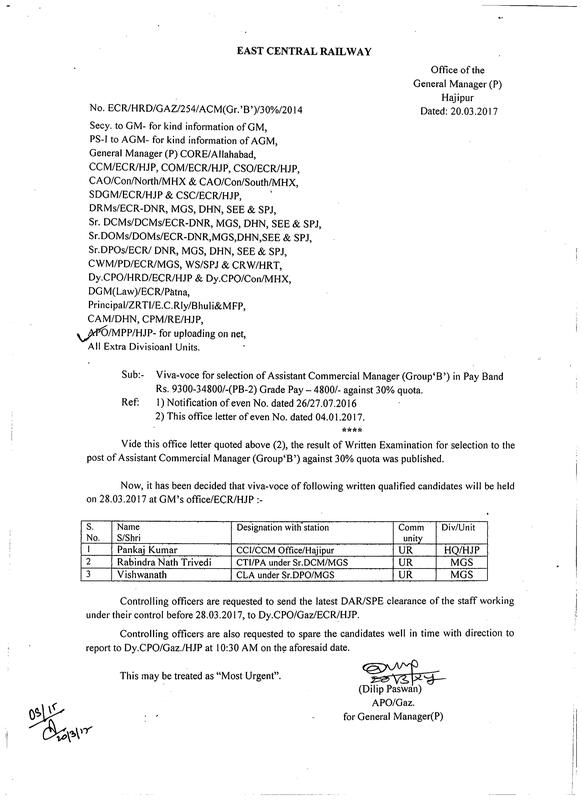 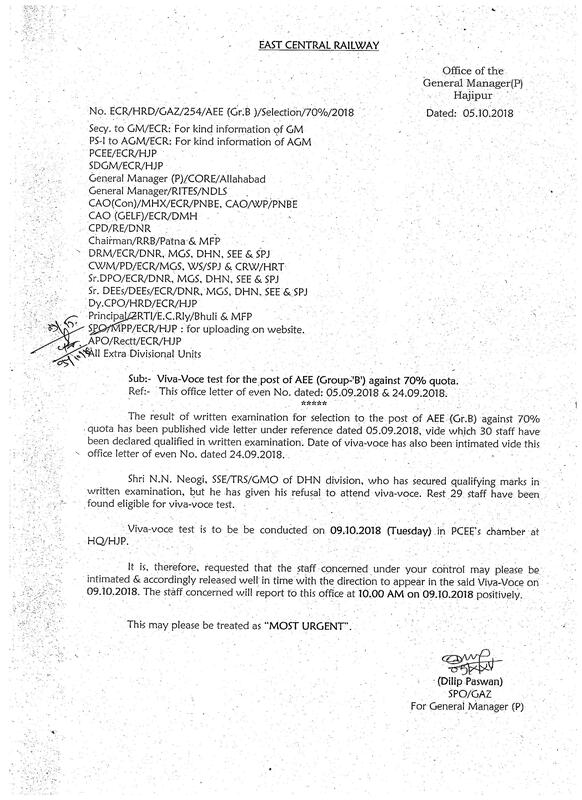 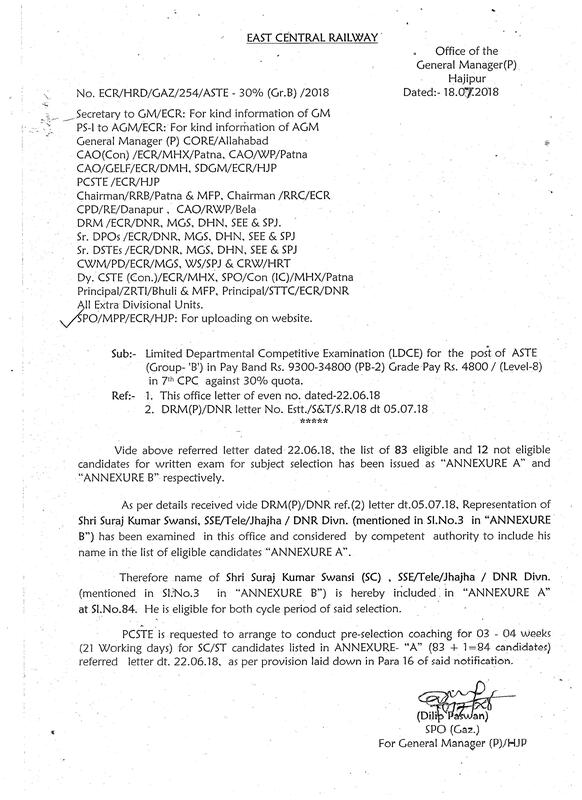 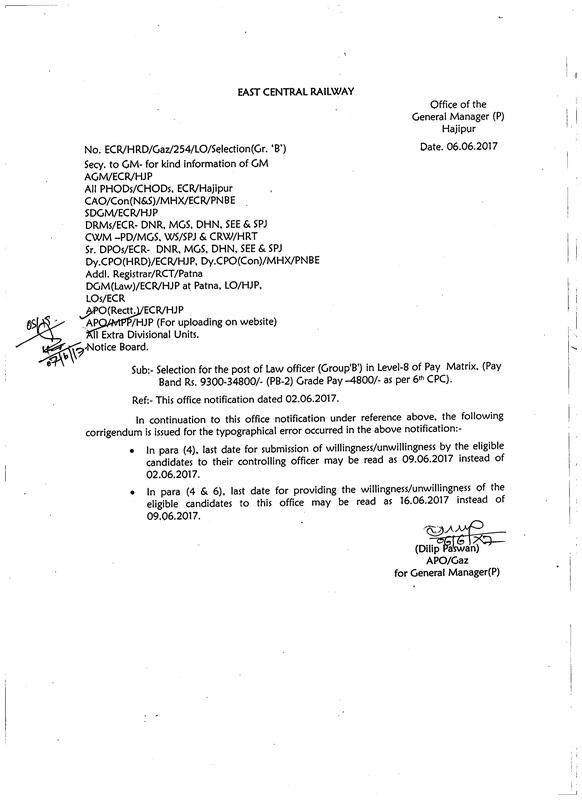 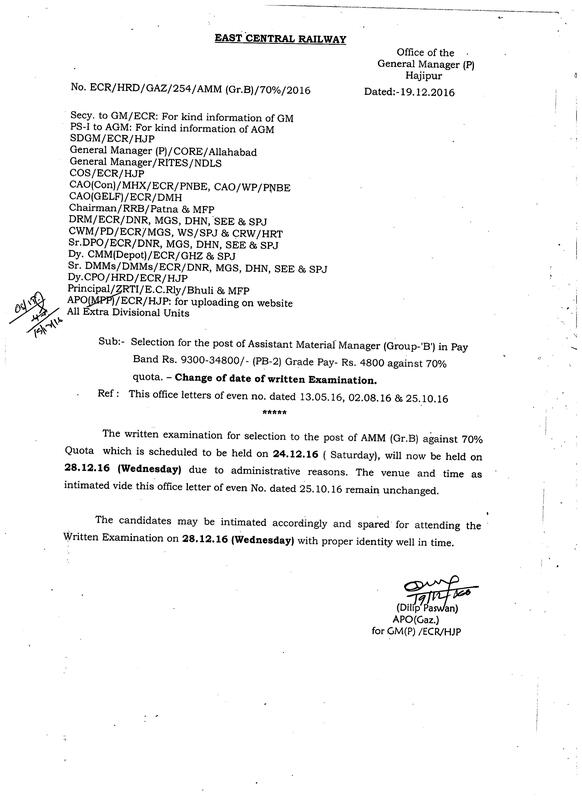 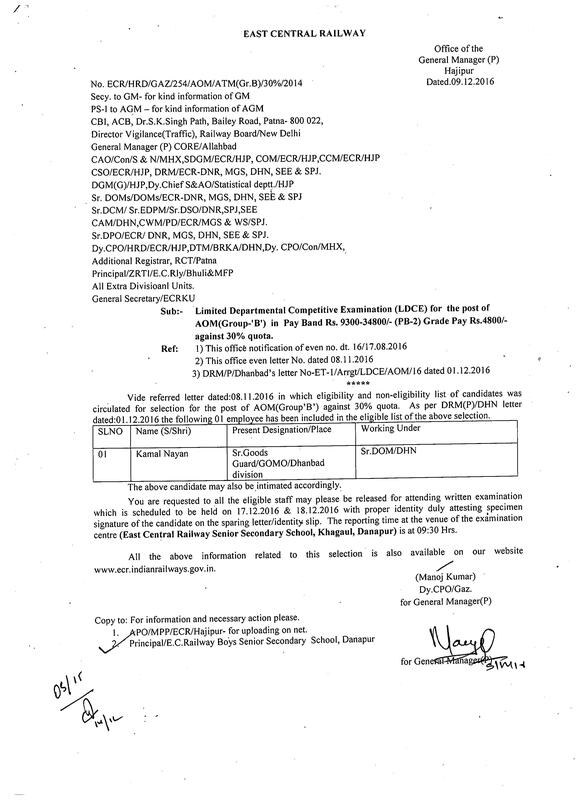 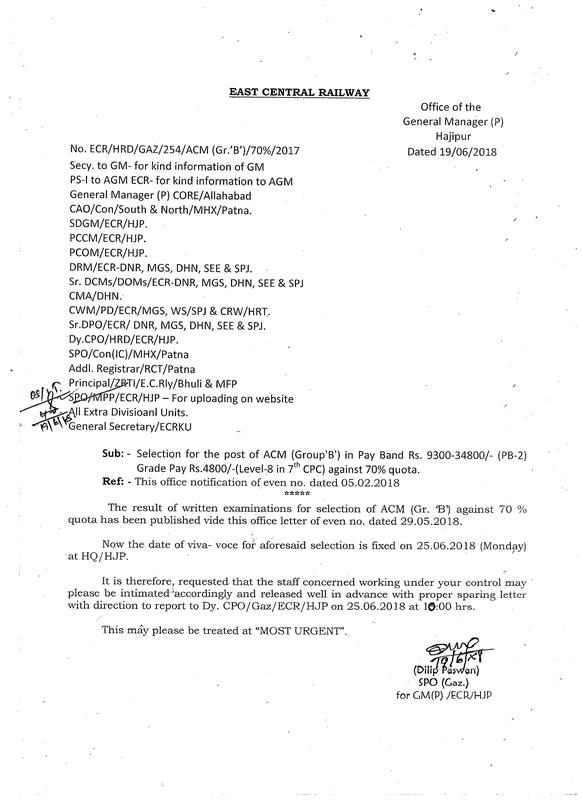 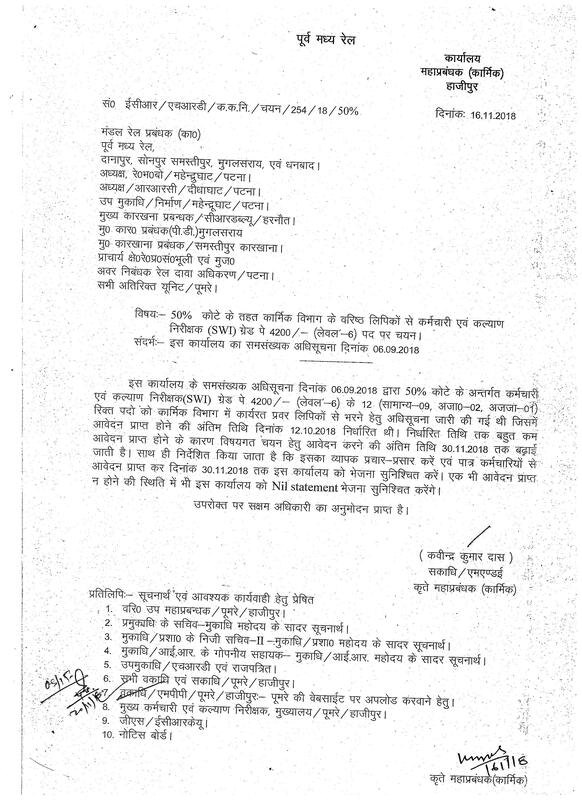 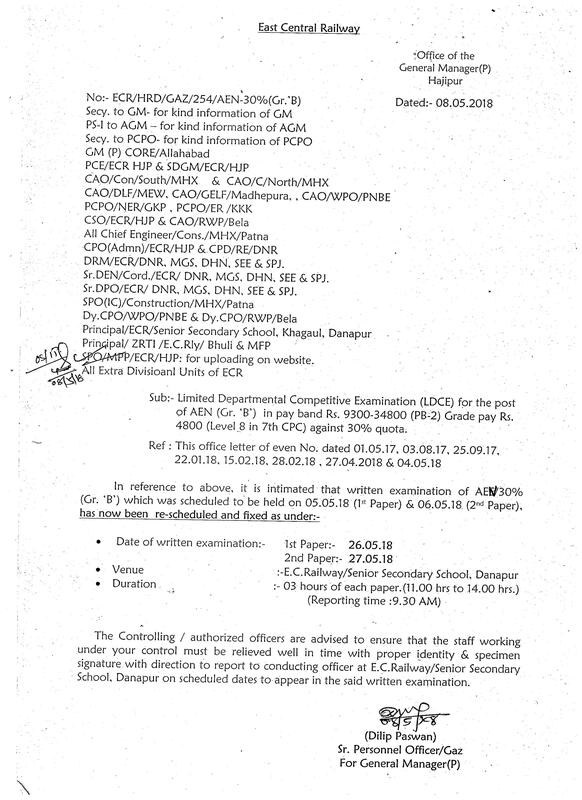 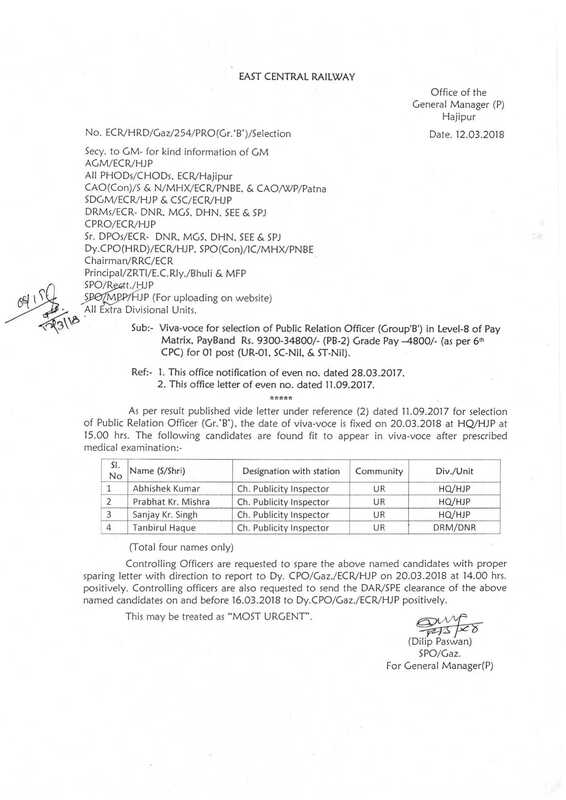 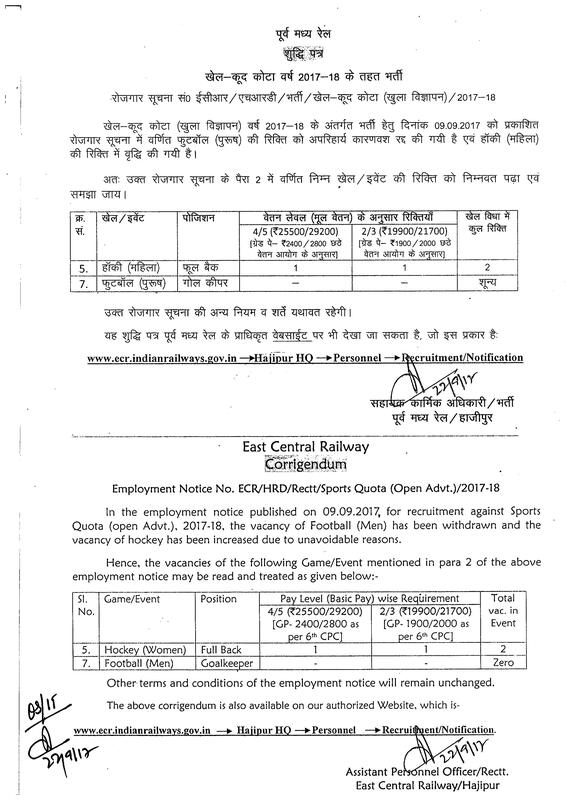 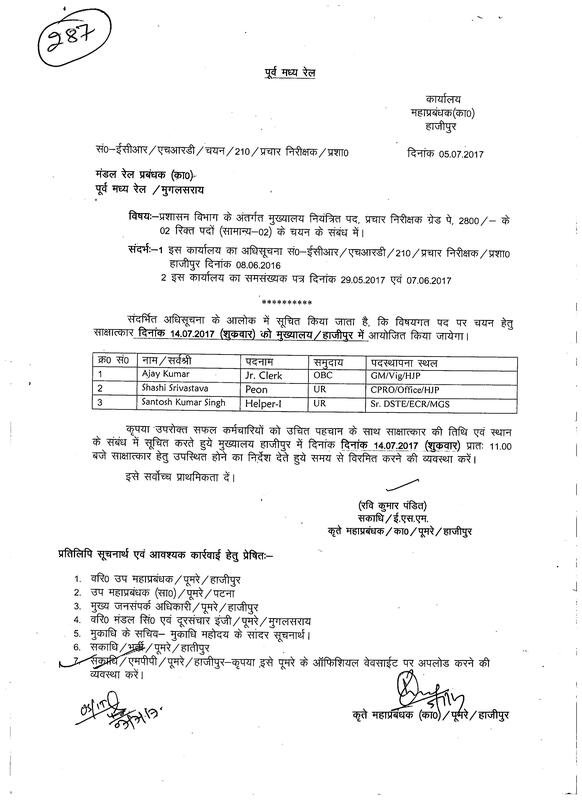 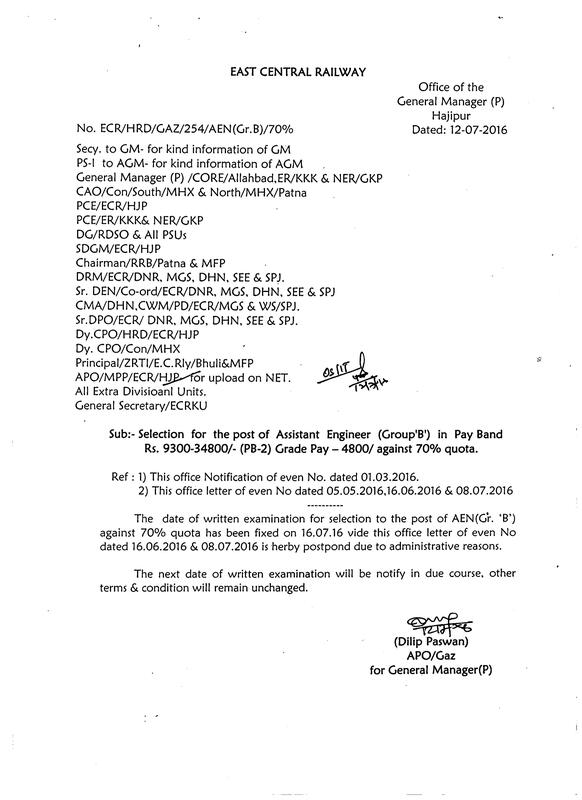 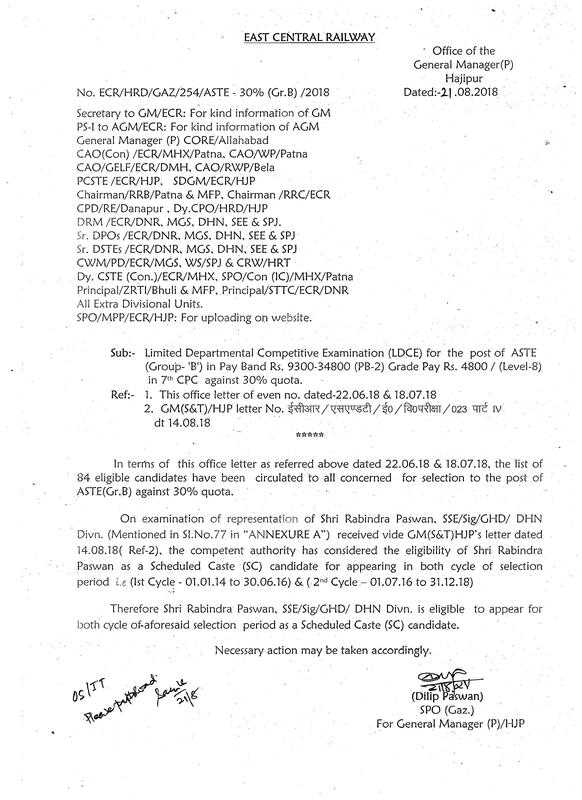 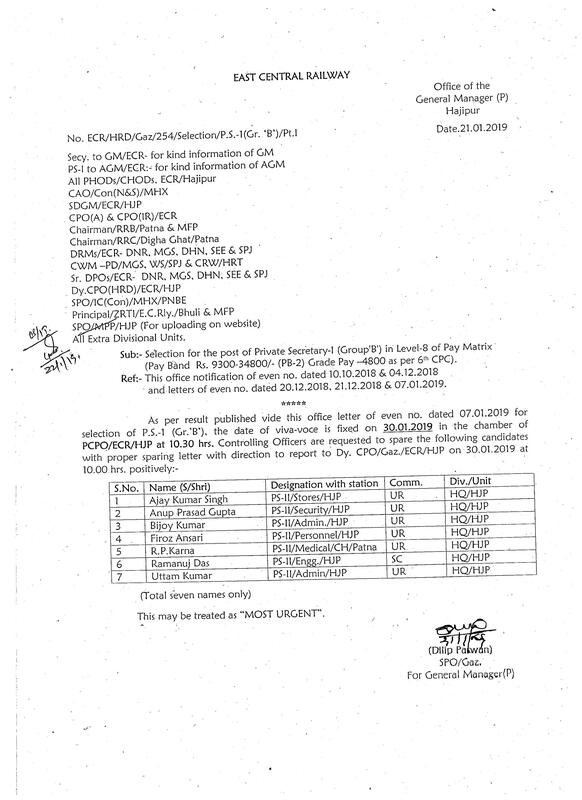 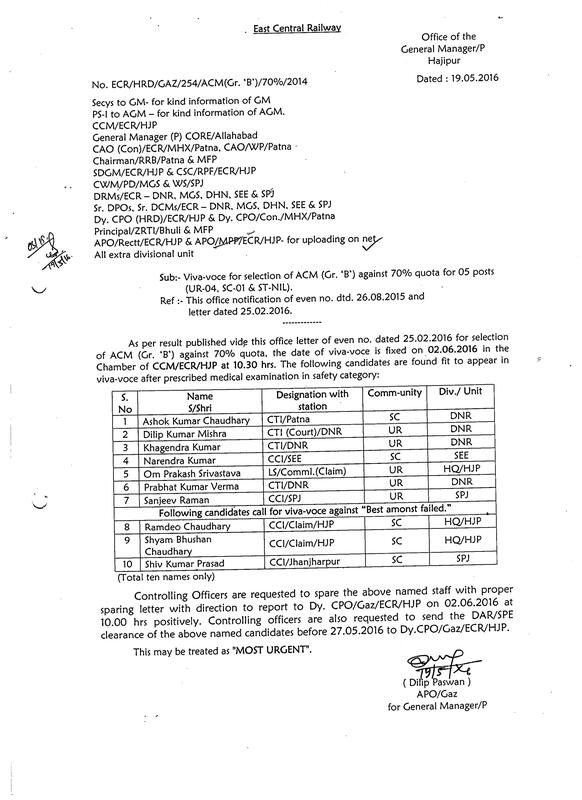 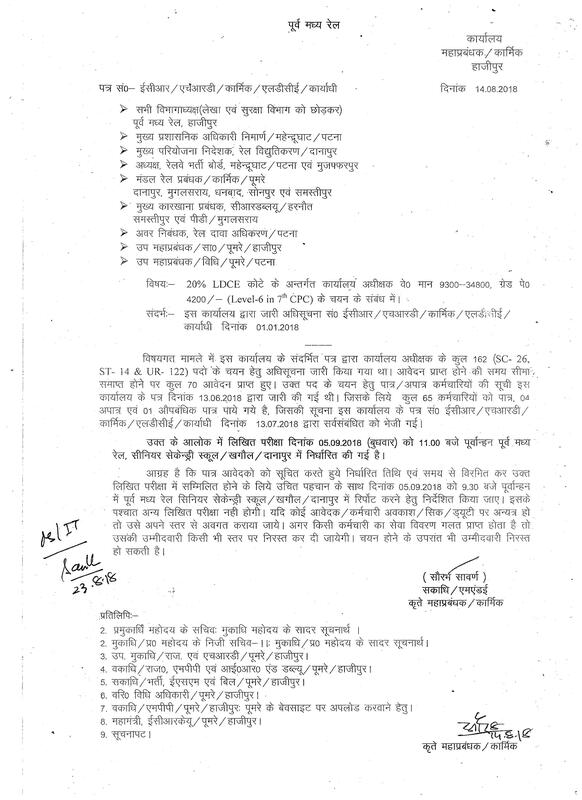 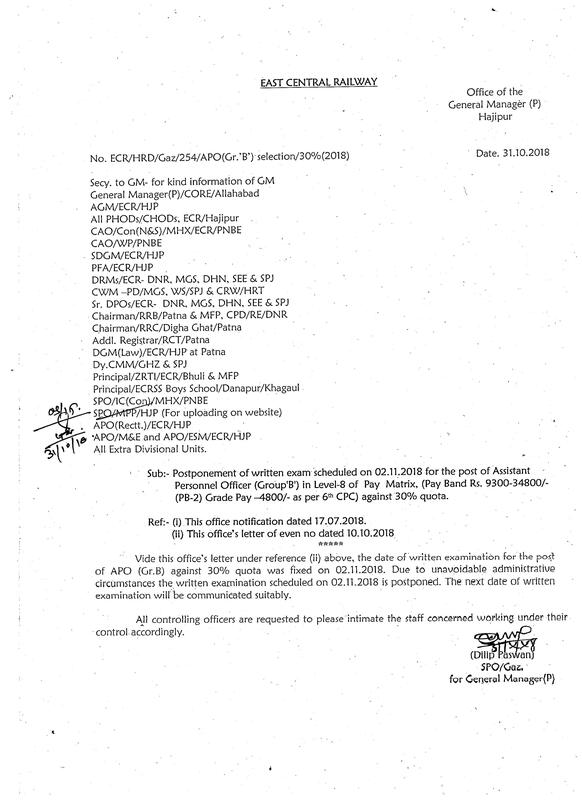 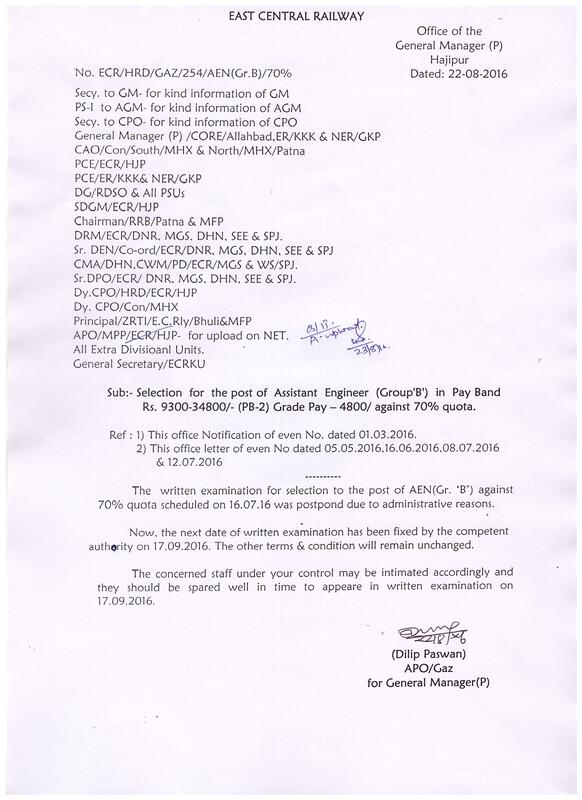 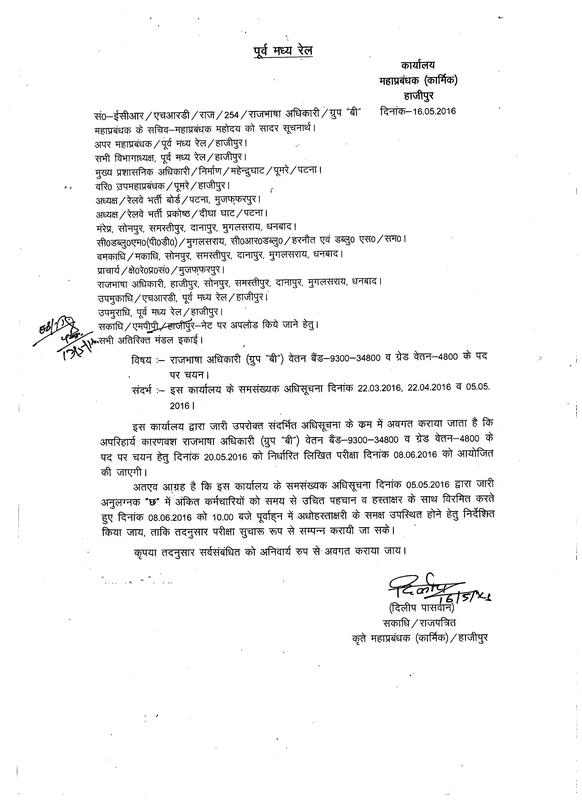 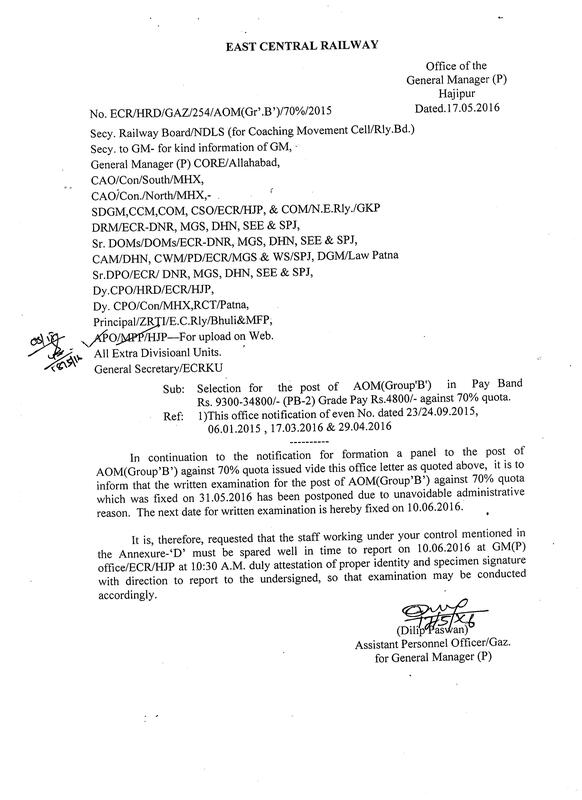 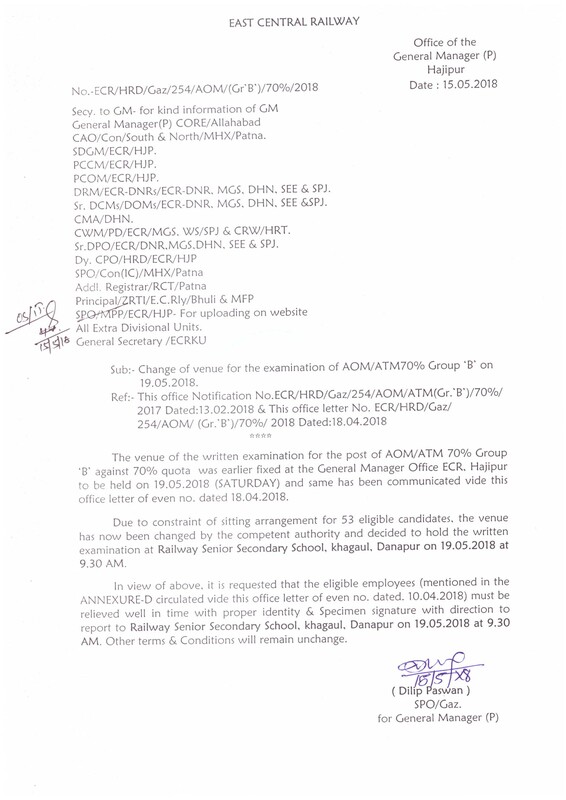 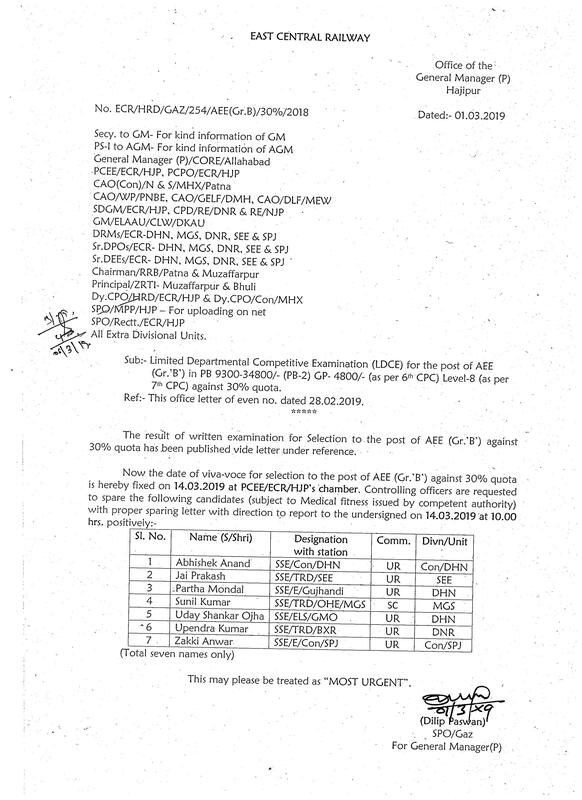 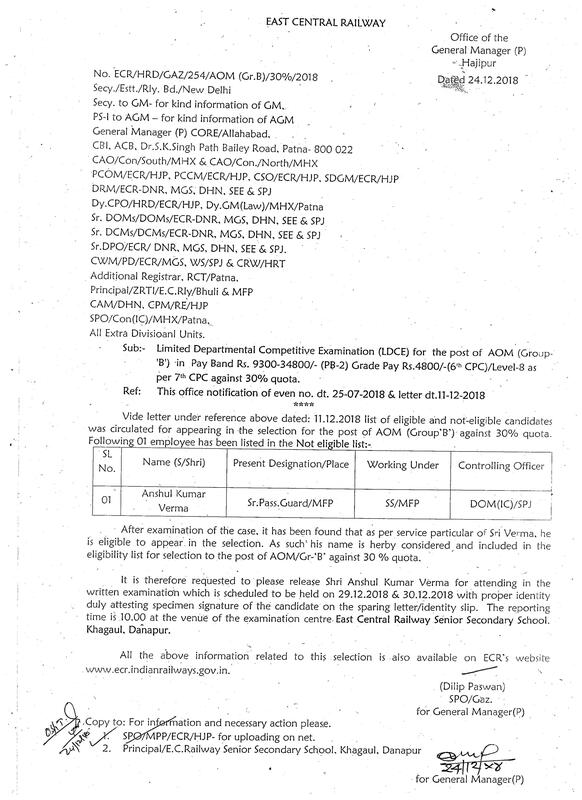 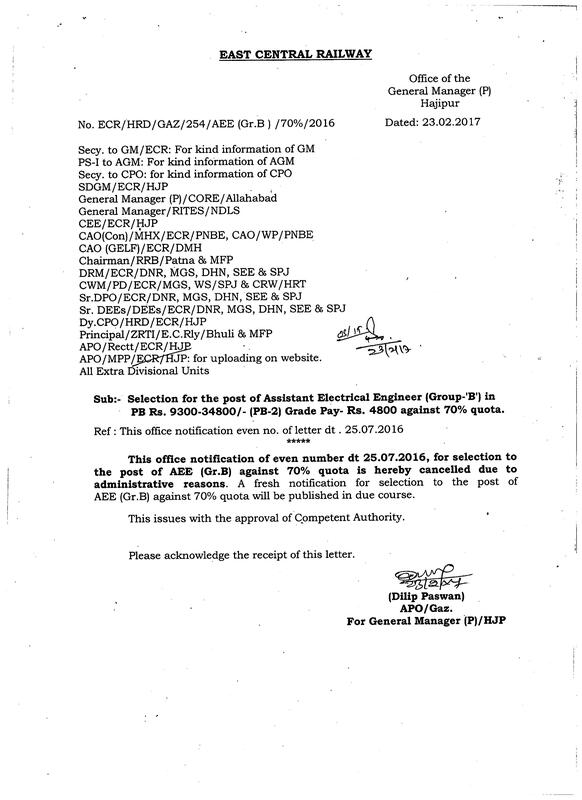 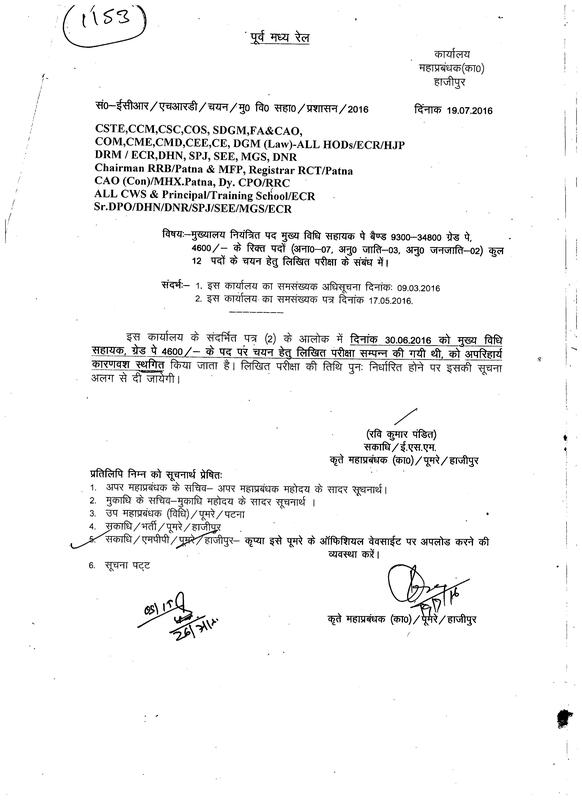 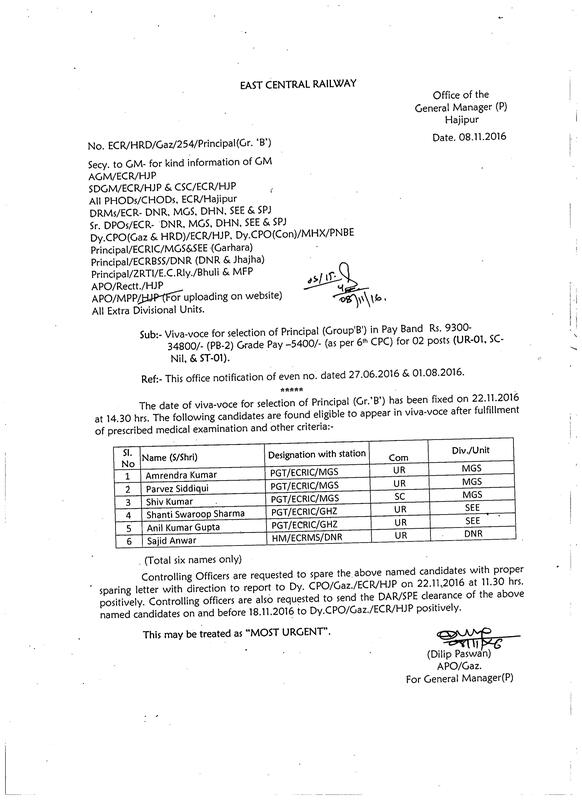 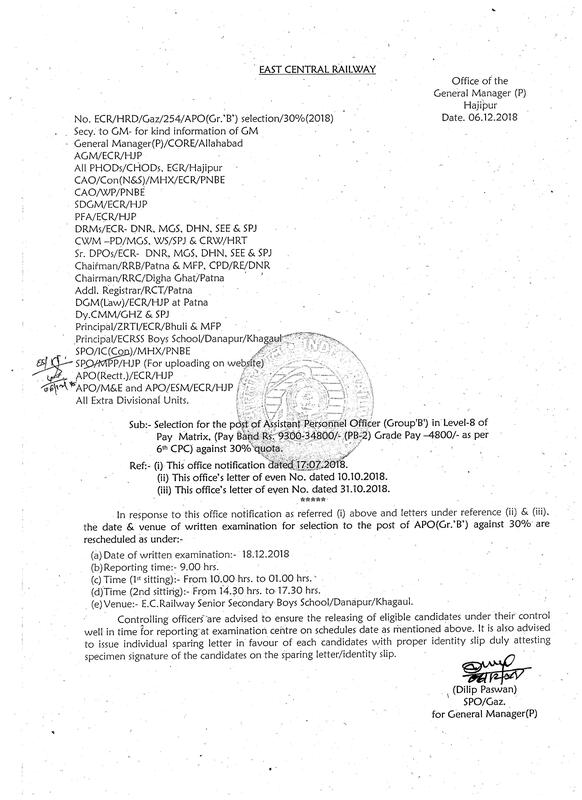 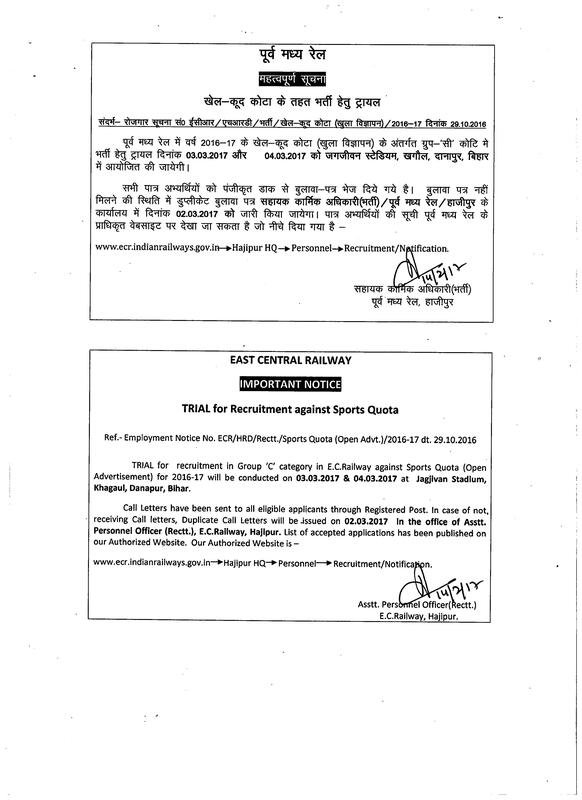 Limited Departmental Competitive Examination (LDCE) for the post of AOM (Group - 'B') in Pay Band Rs. 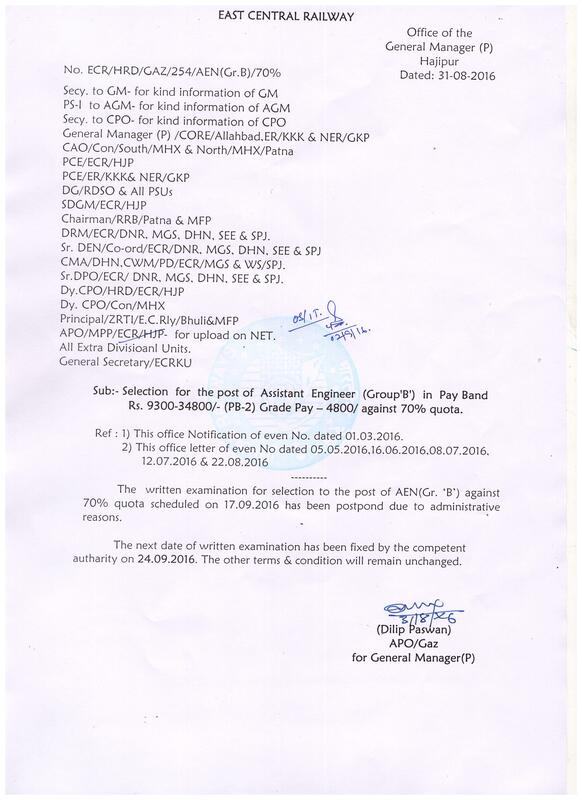 9300-34800/- (PB-2) Grade Pay Rs. 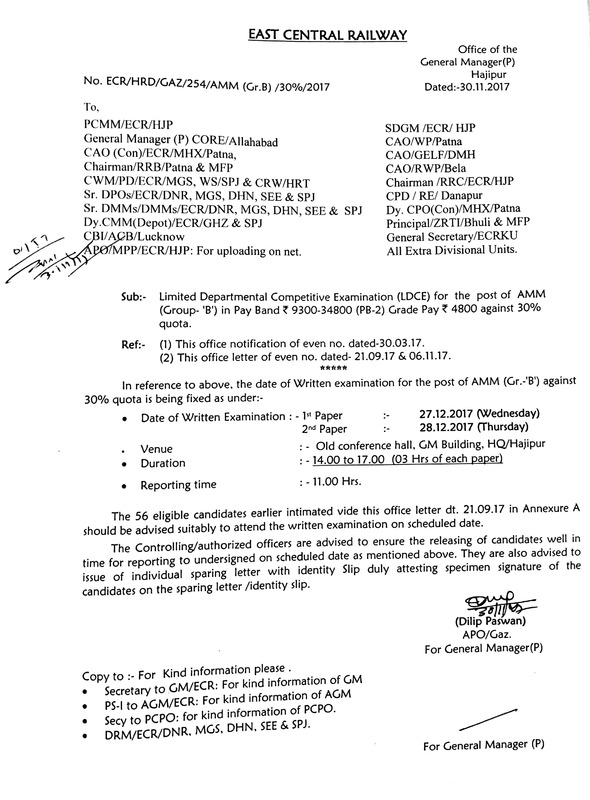 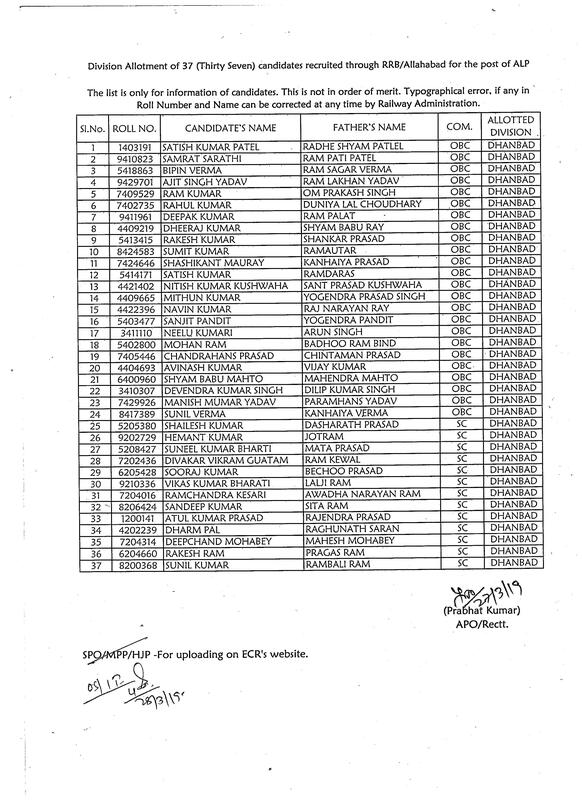 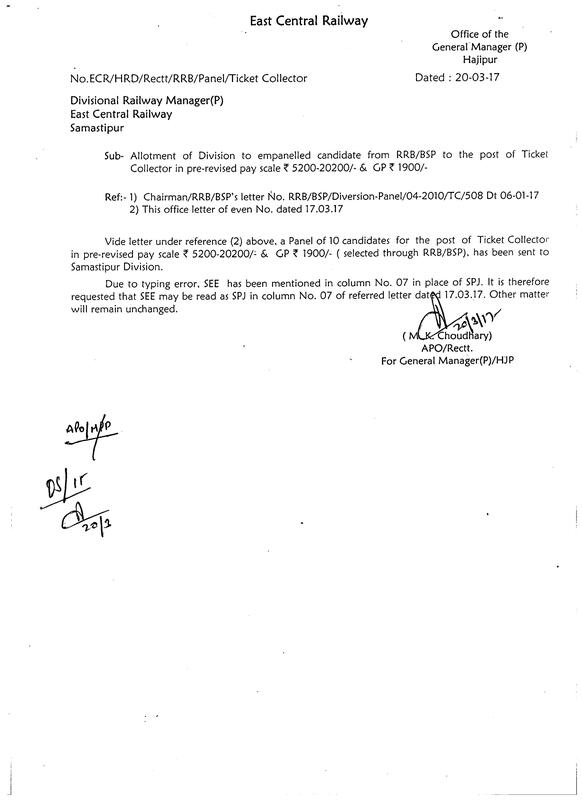 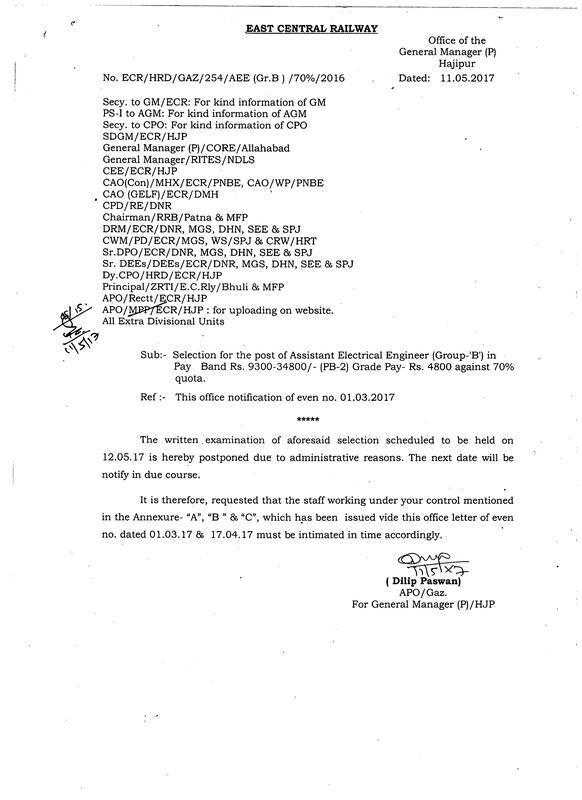 4800/- against 30% quota dated 14.12.2016. 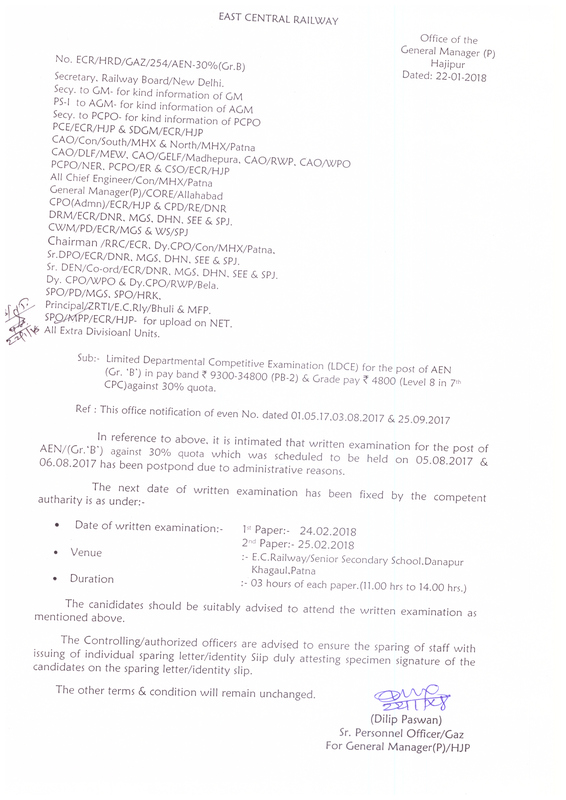 Limited Departmental Competitive Examination (LDCE) for the post of AOM (Group - 'B') in Pay Band Rs. 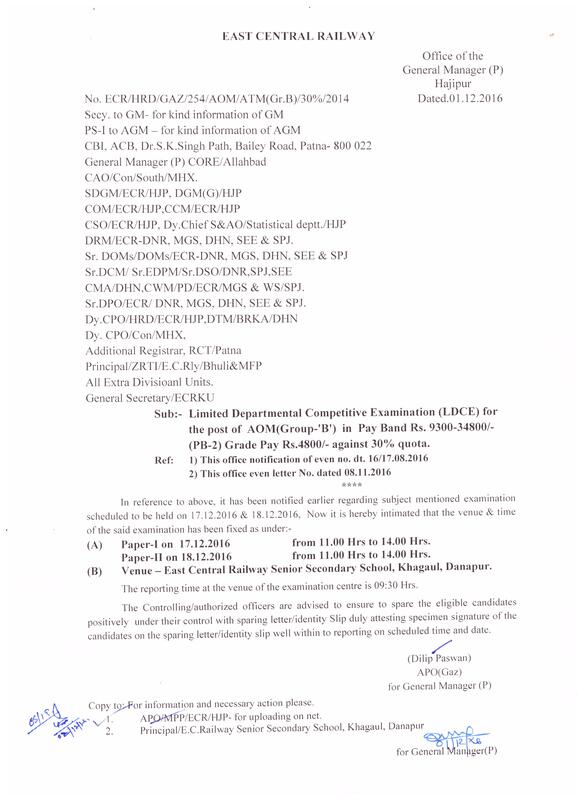 9300-34800/- (PB-2) Grade Pay Rs. 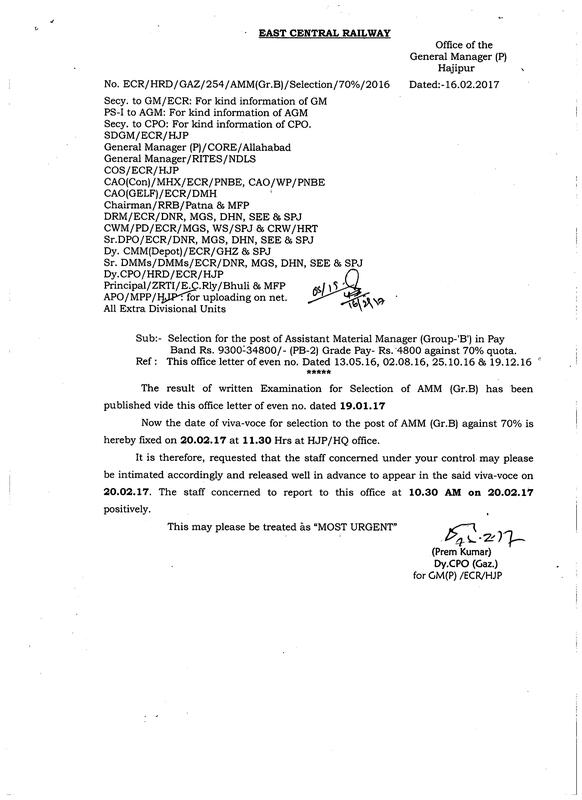 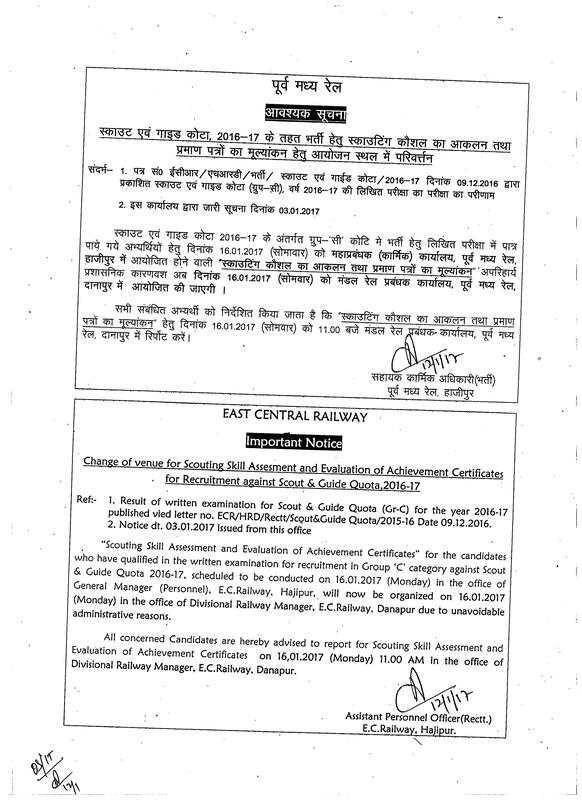 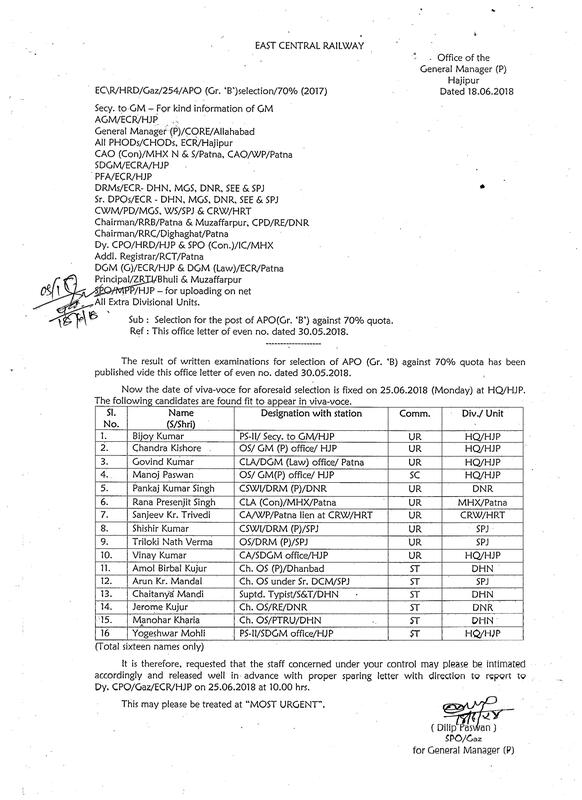 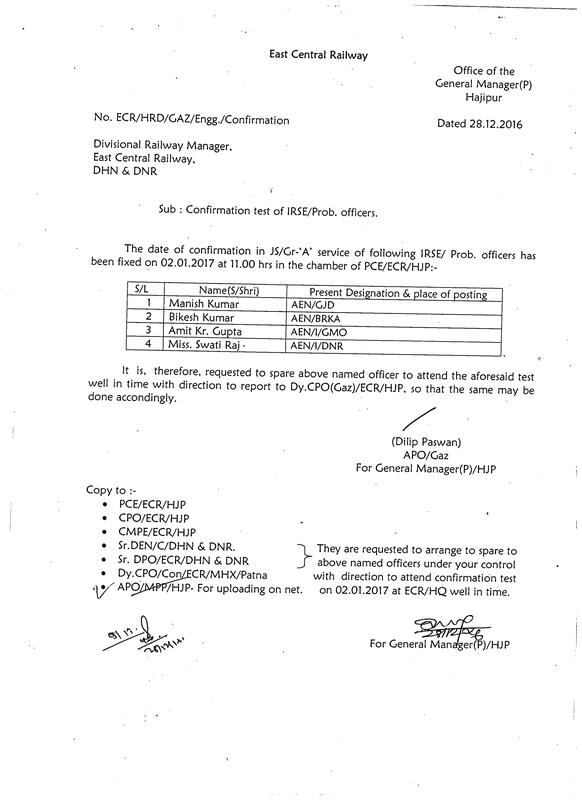 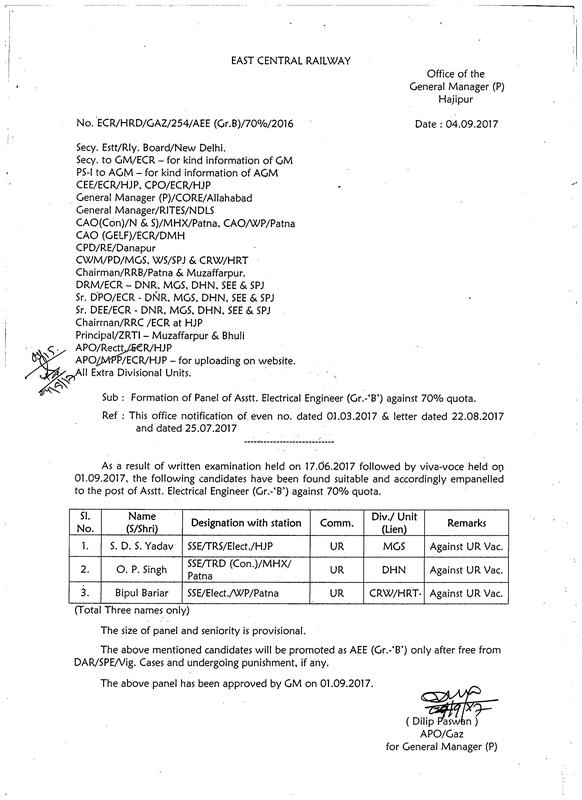 4800/- against 30% quota dated 09.12.2016. 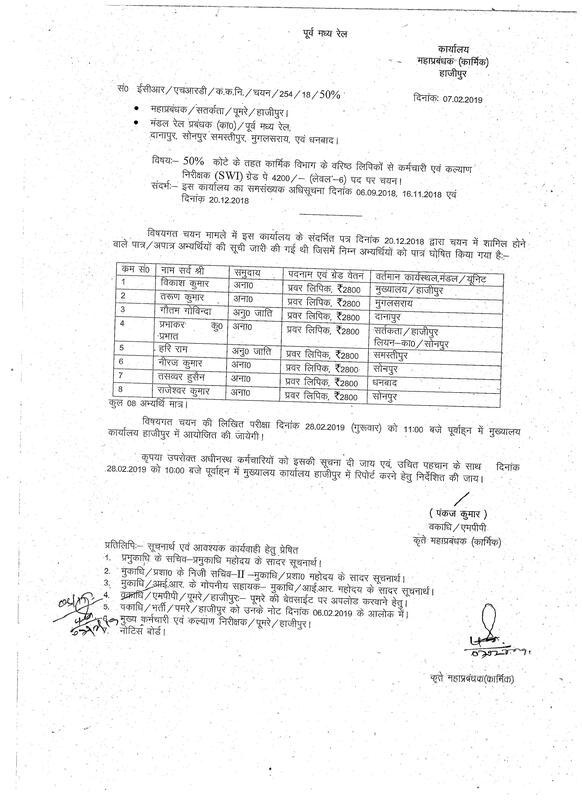 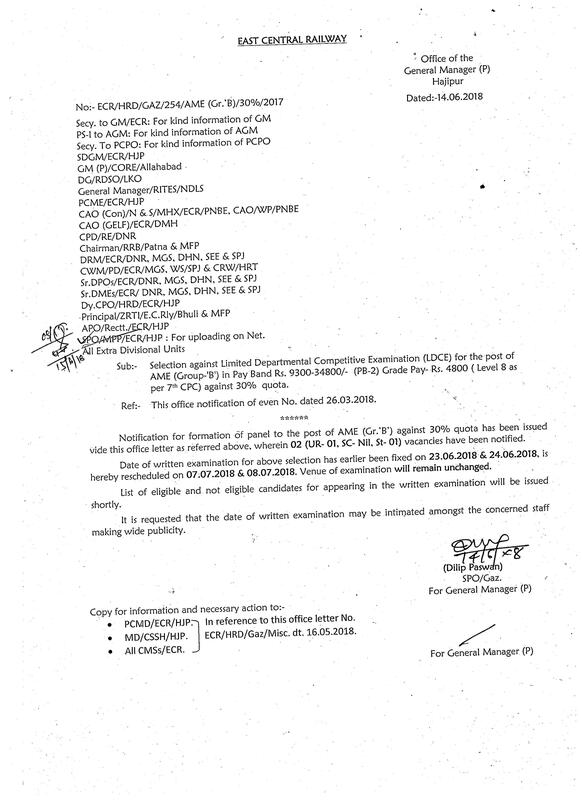 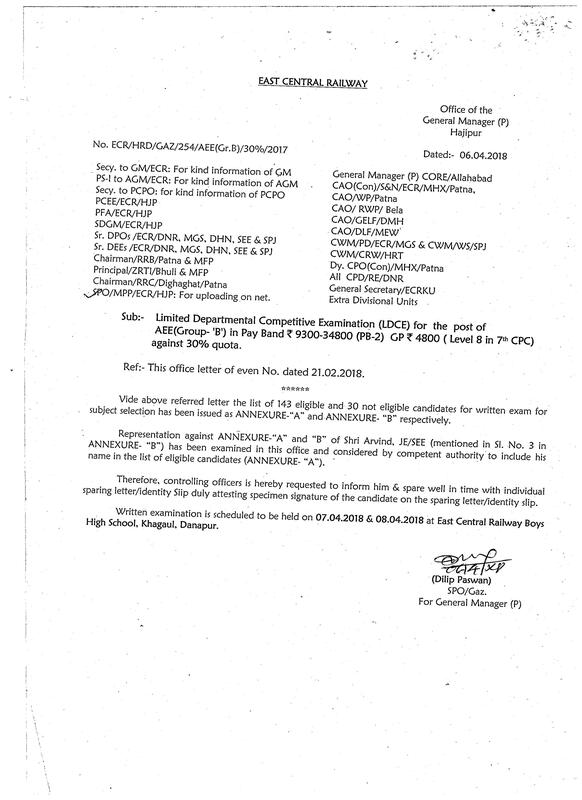 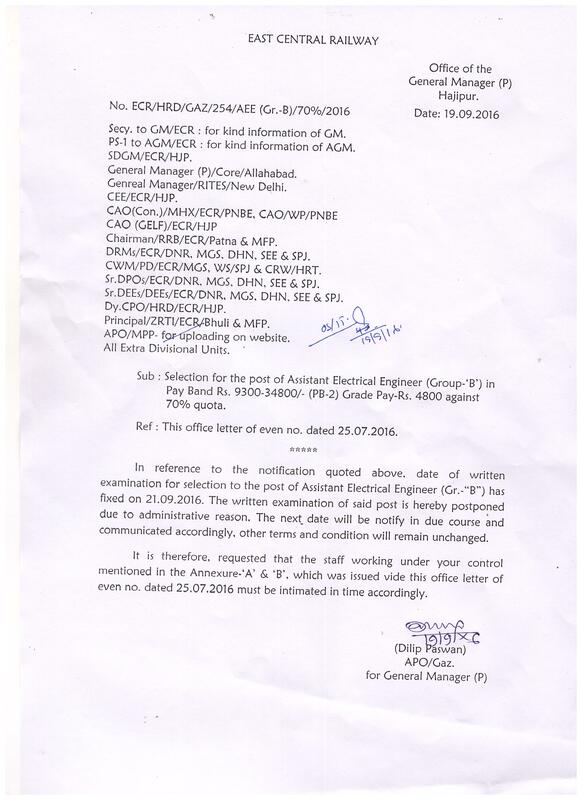 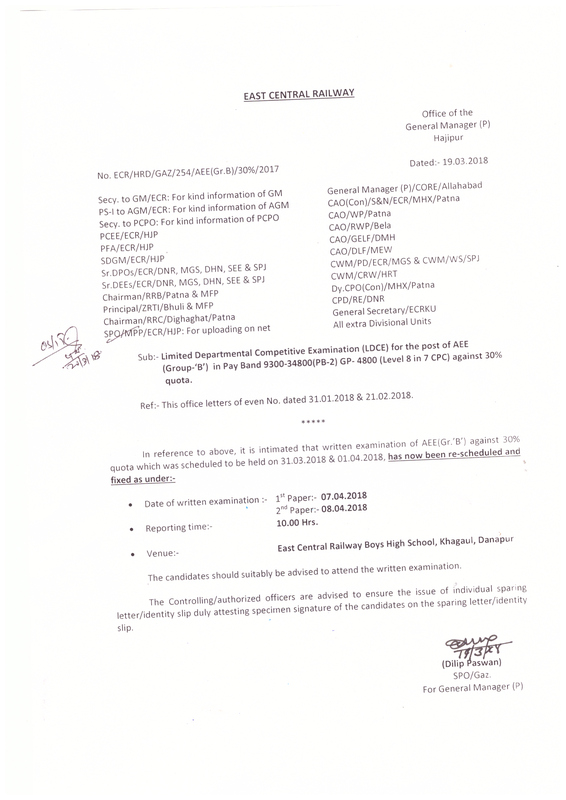 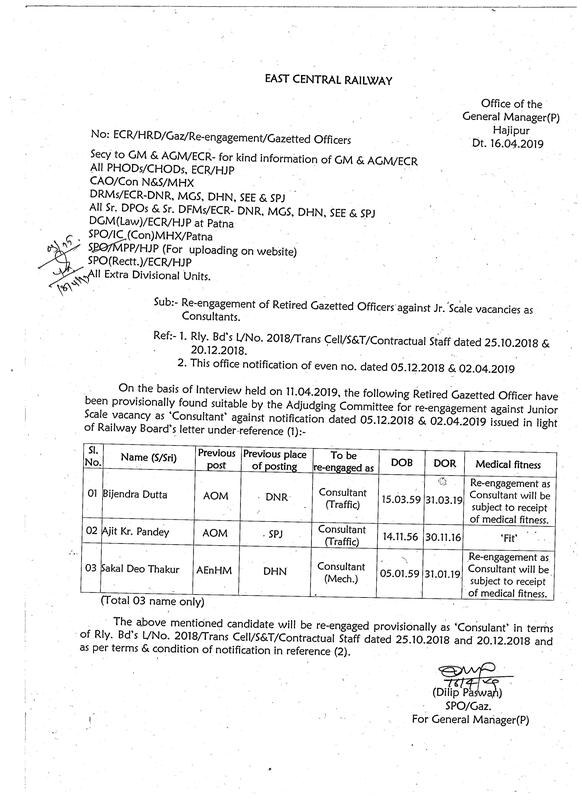 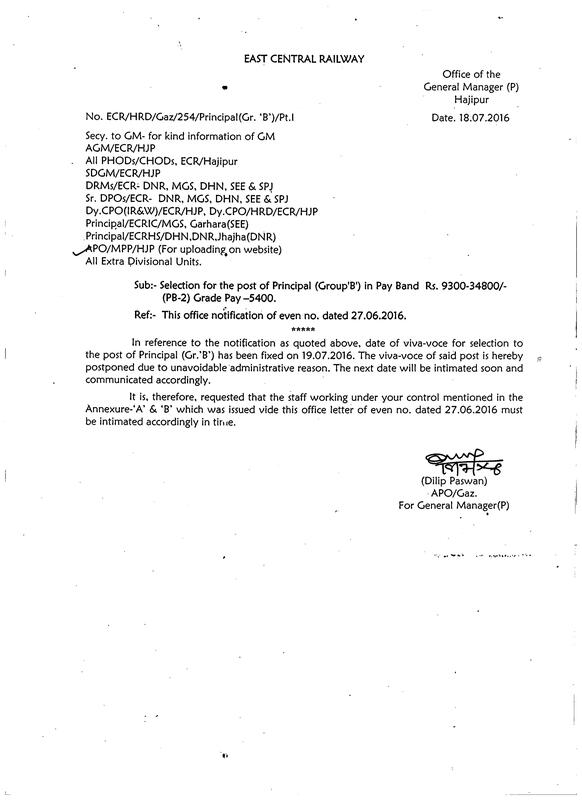 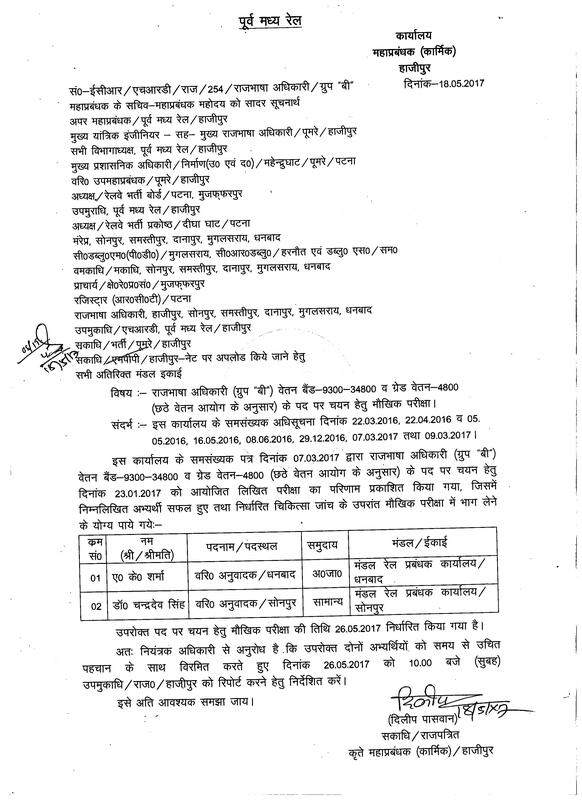 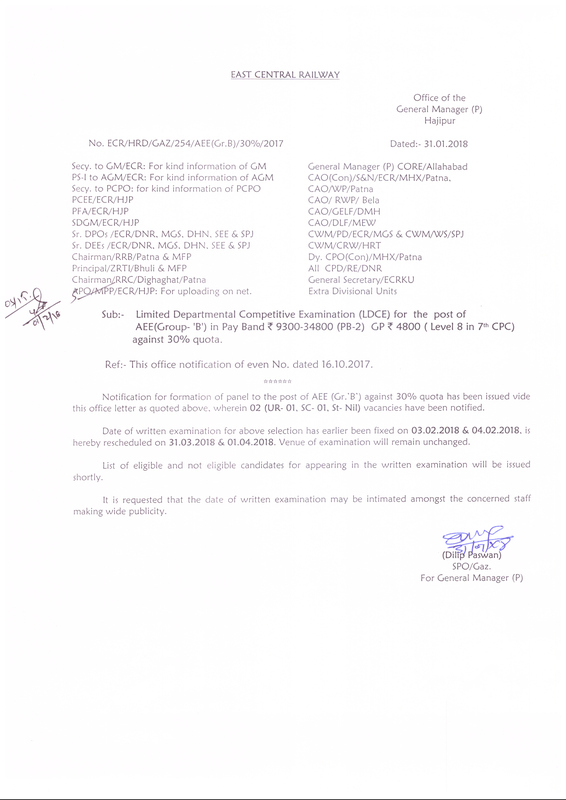 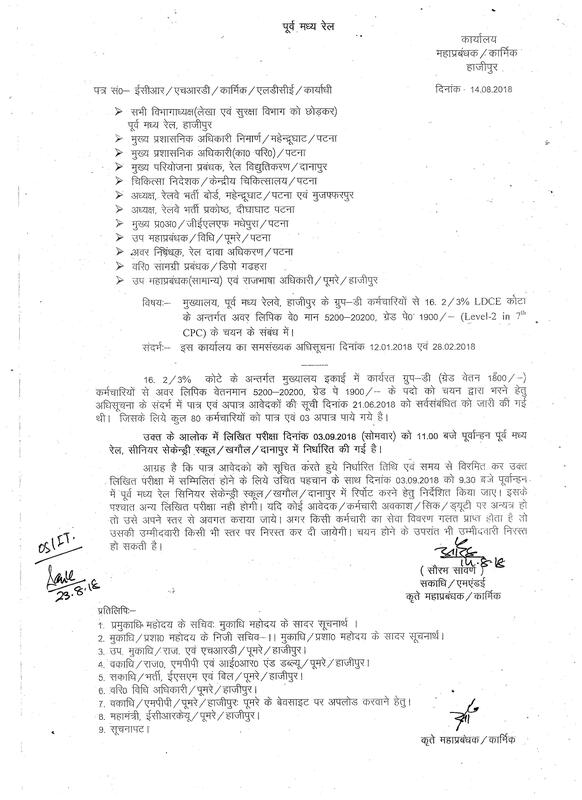 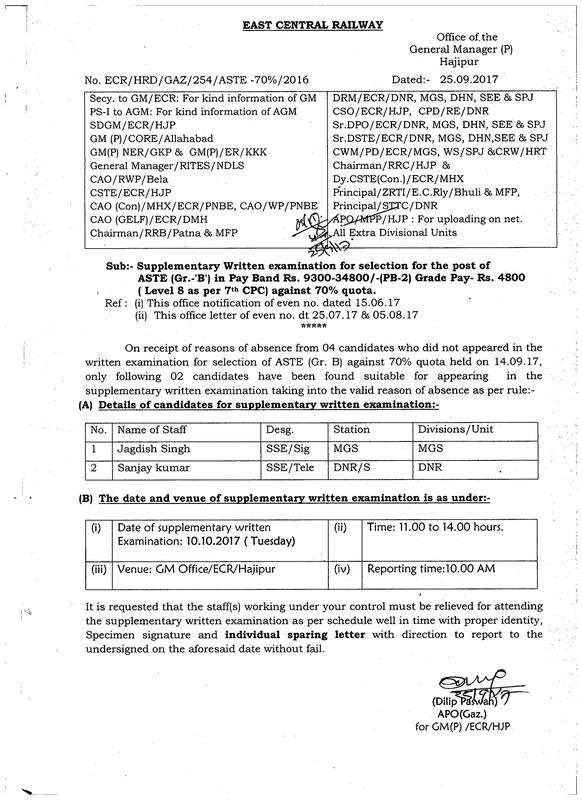 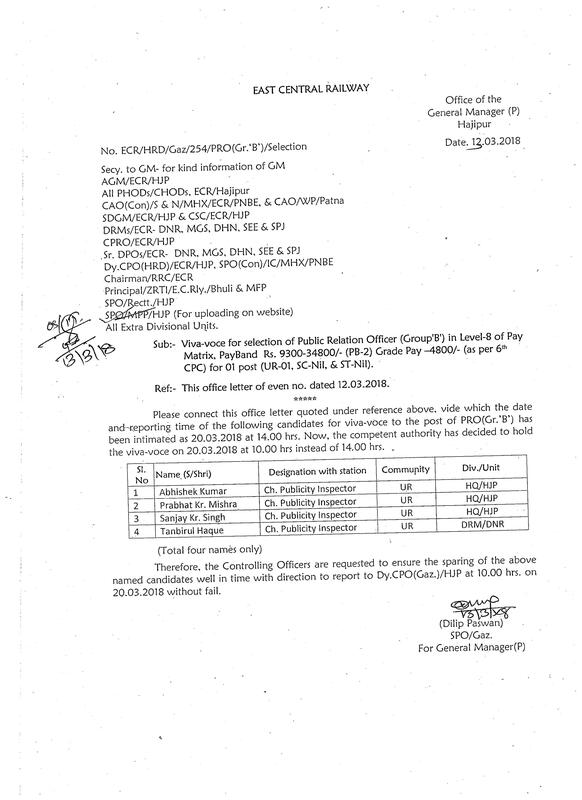 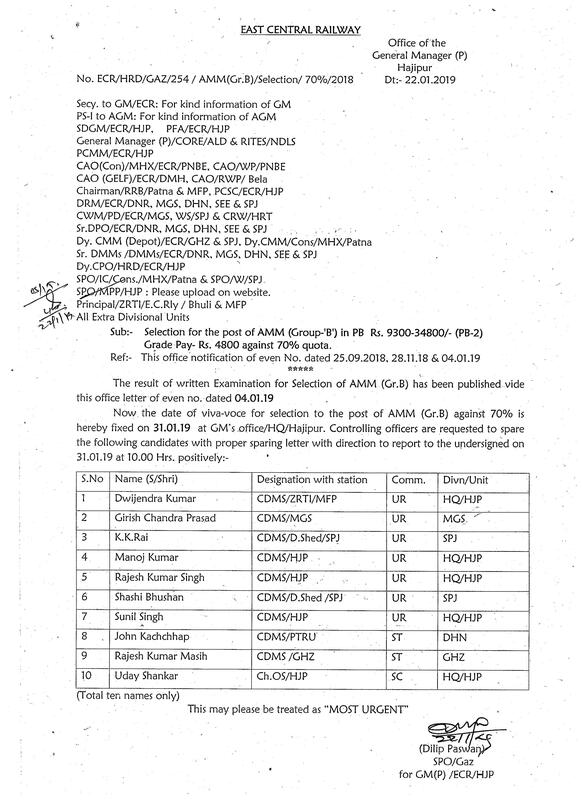 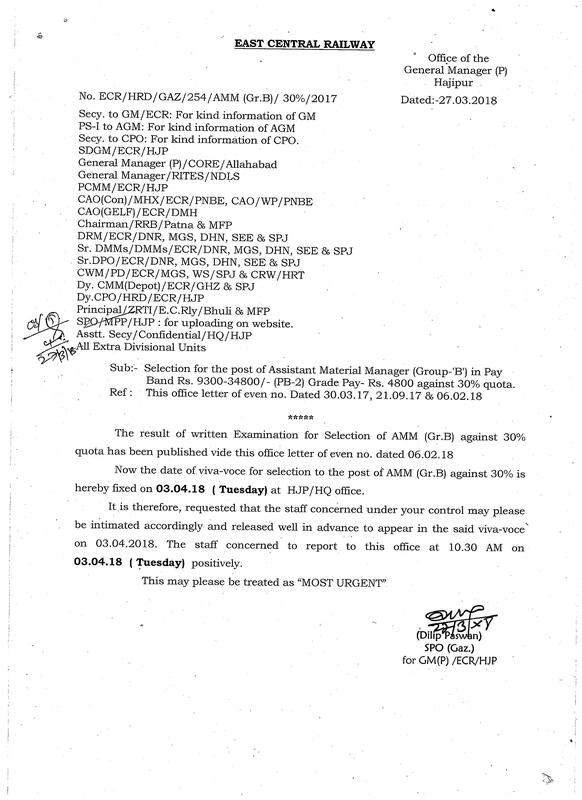 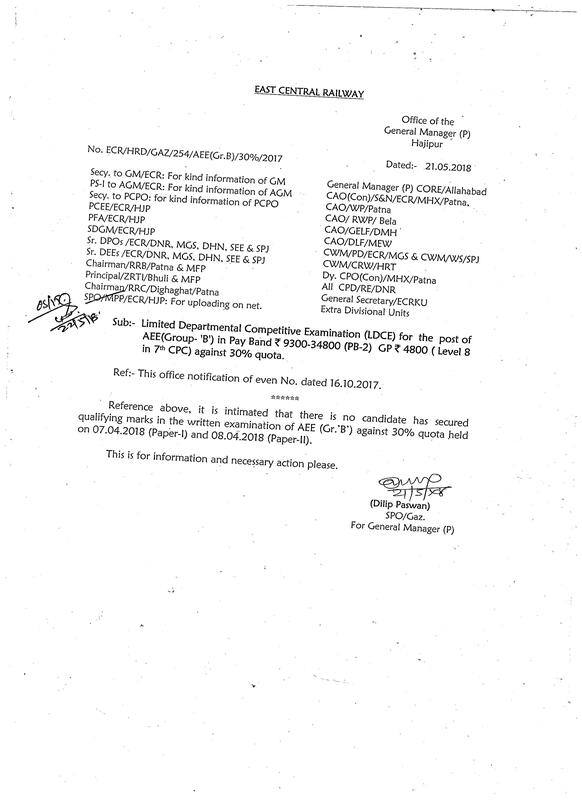 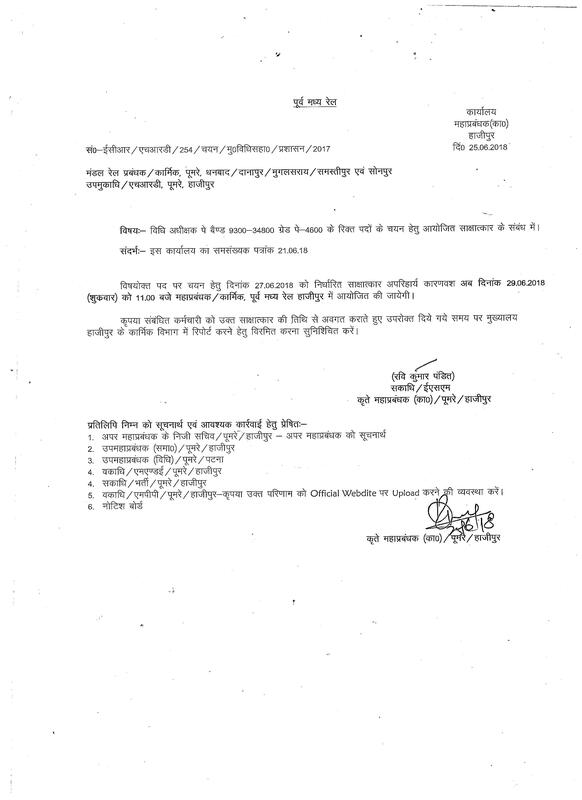 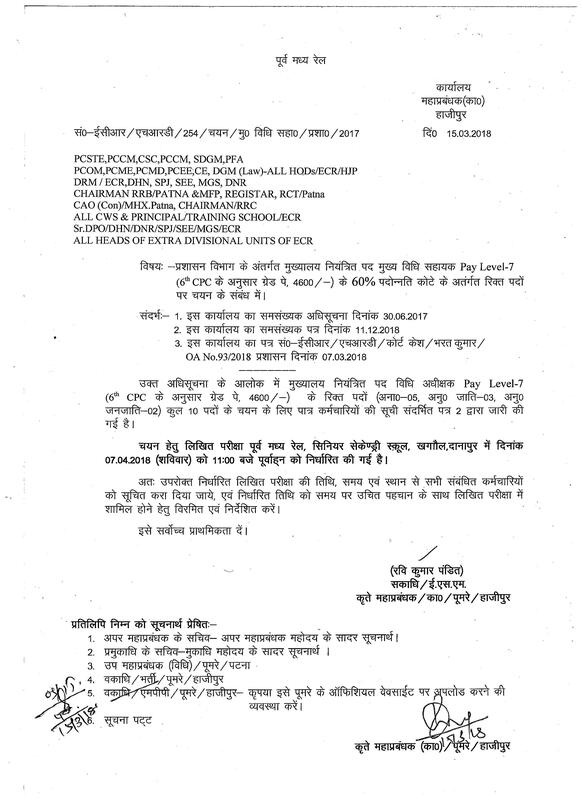 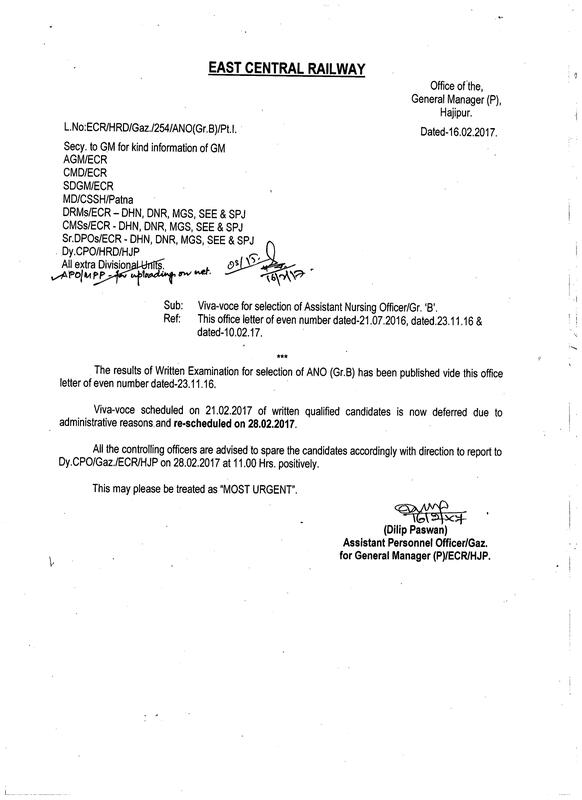 Limited Departmental Competitive Examination (LDCE) for the post of AOM (Group - 'B') in Pay Band Rs. 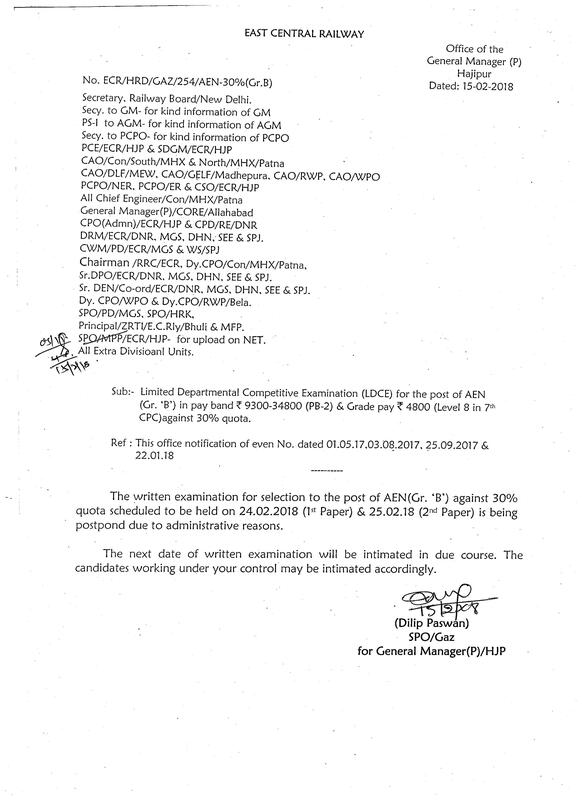 9300-34800/- (PB-2) Grade Pay Rs. 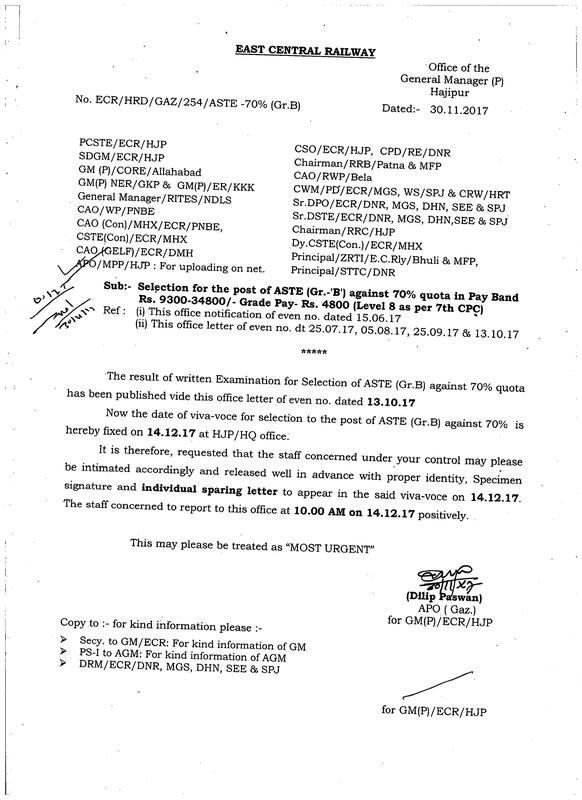 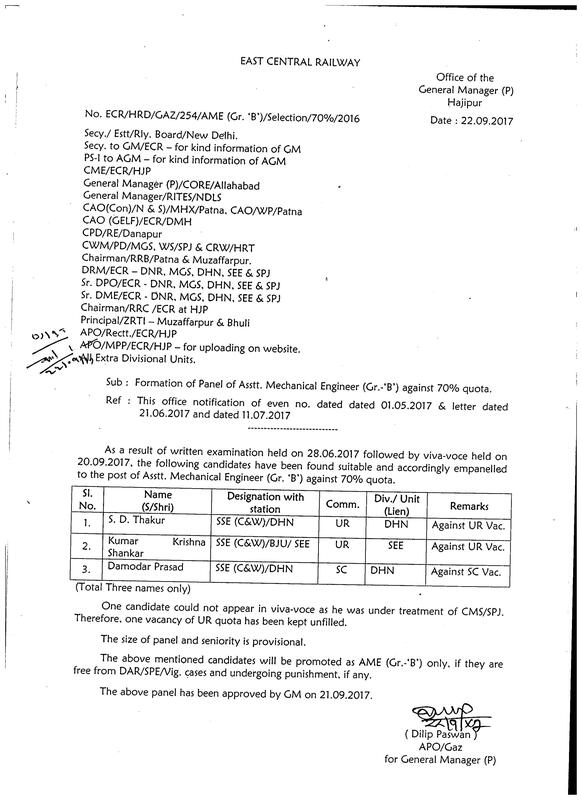 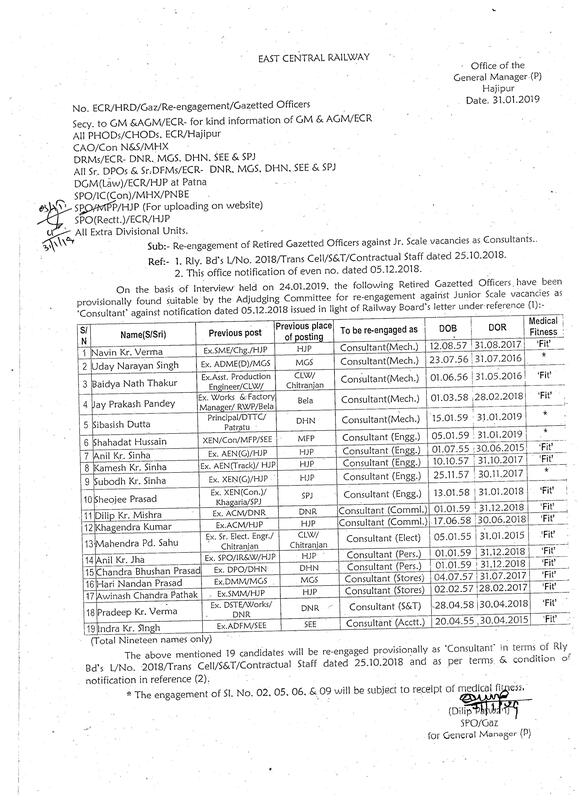 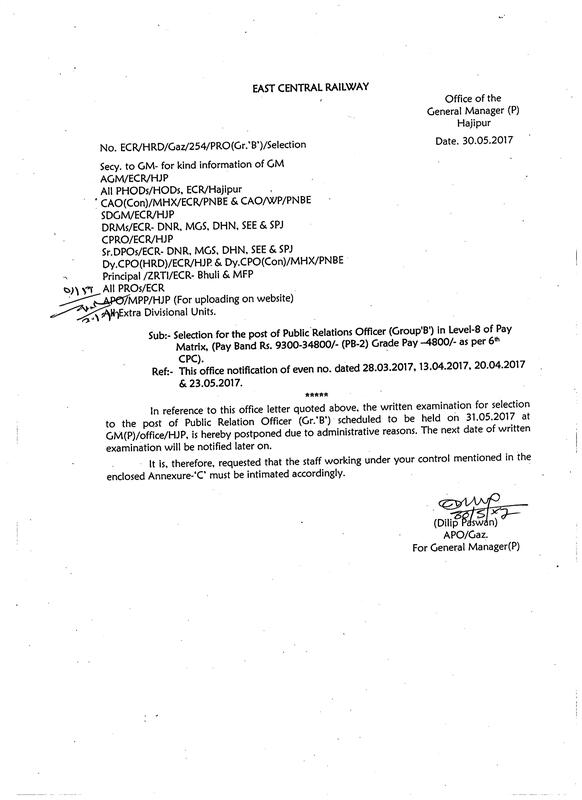 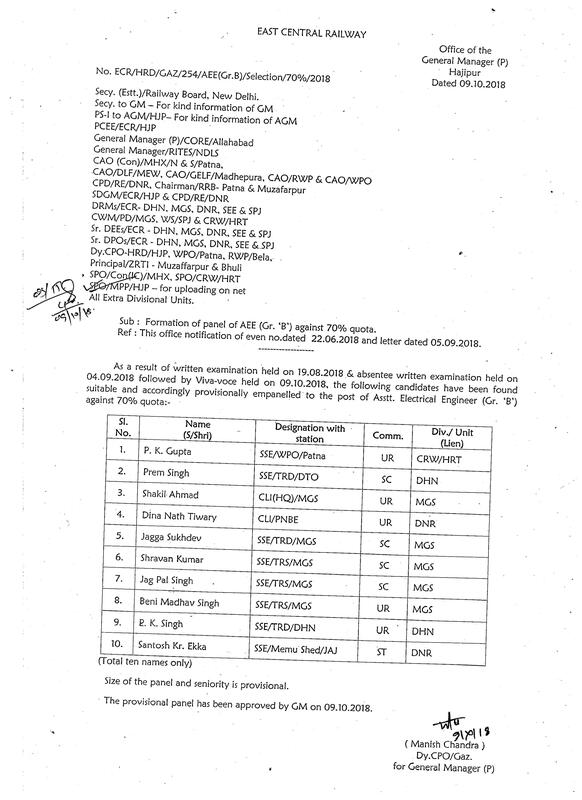 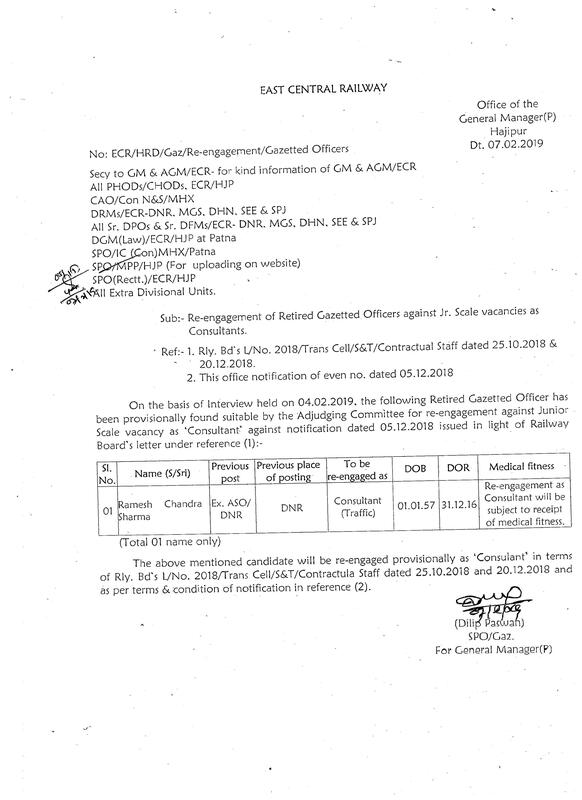 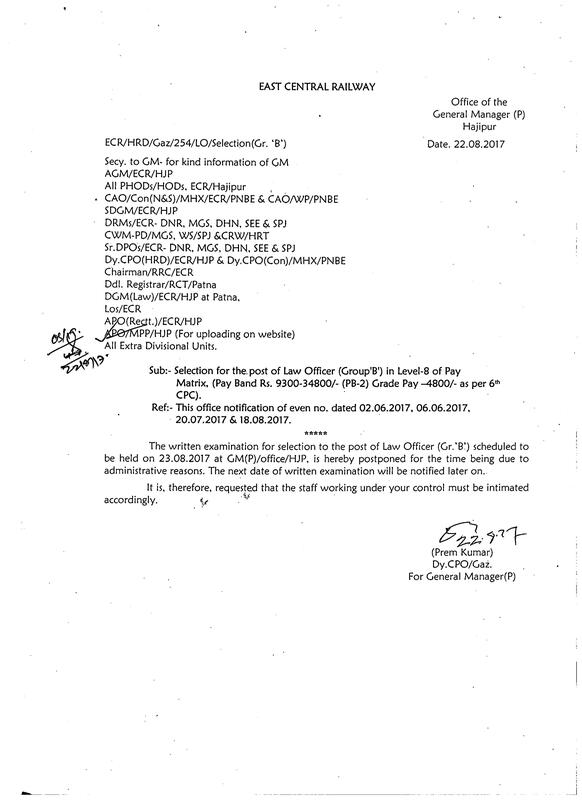 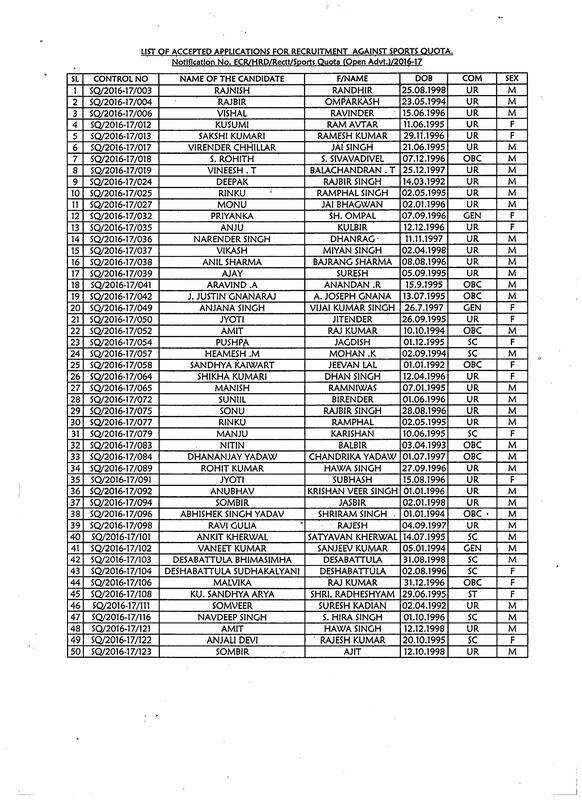 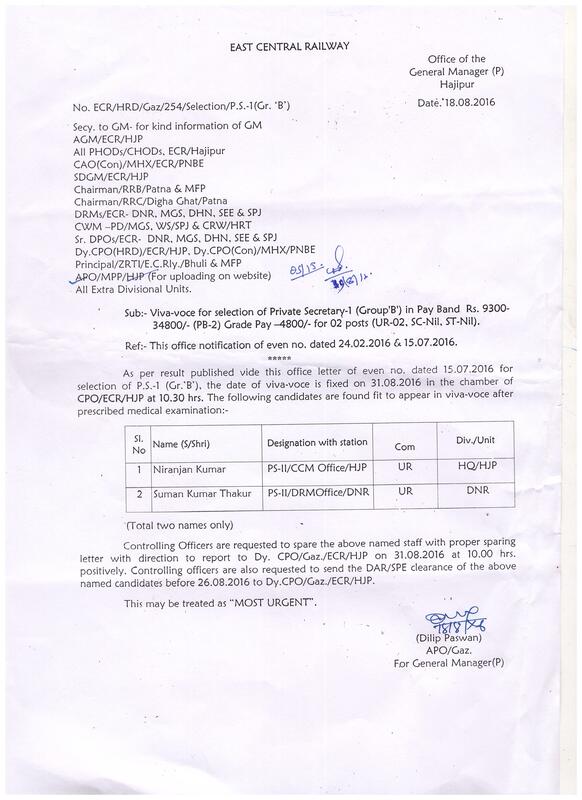 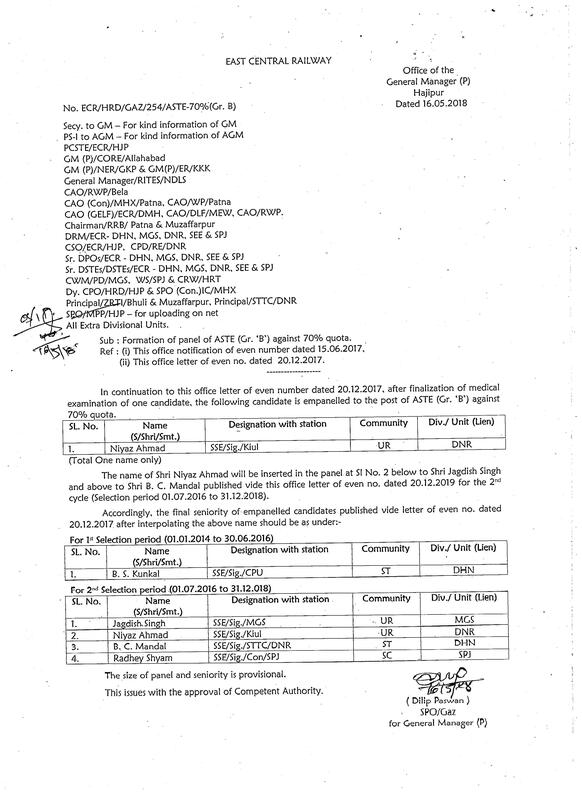 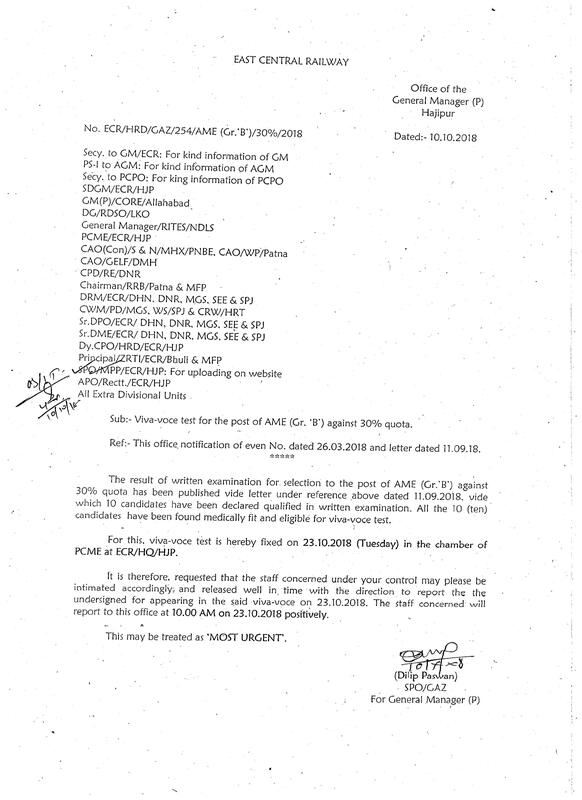 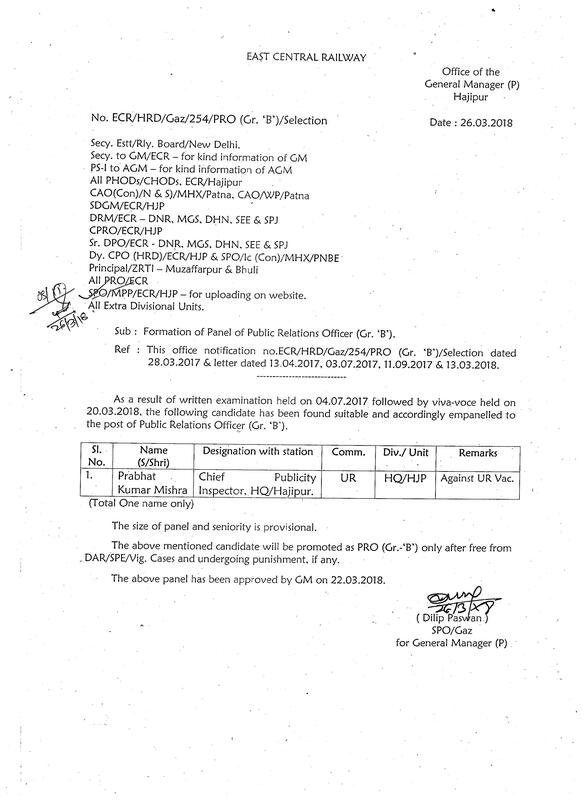 4800/- against 30% quota dated 02.12.2016.